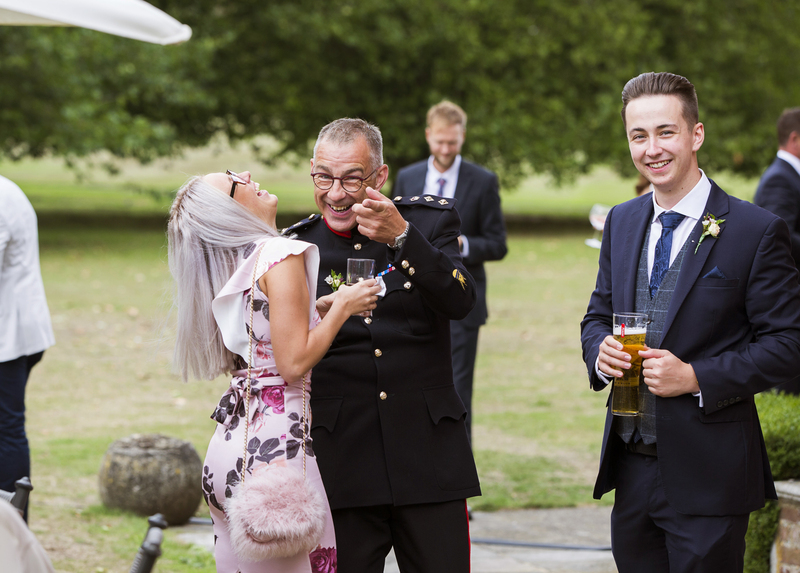 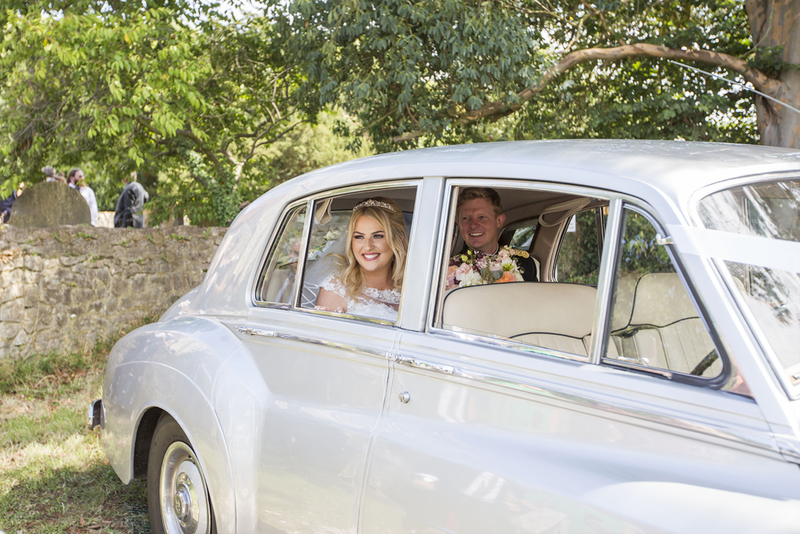 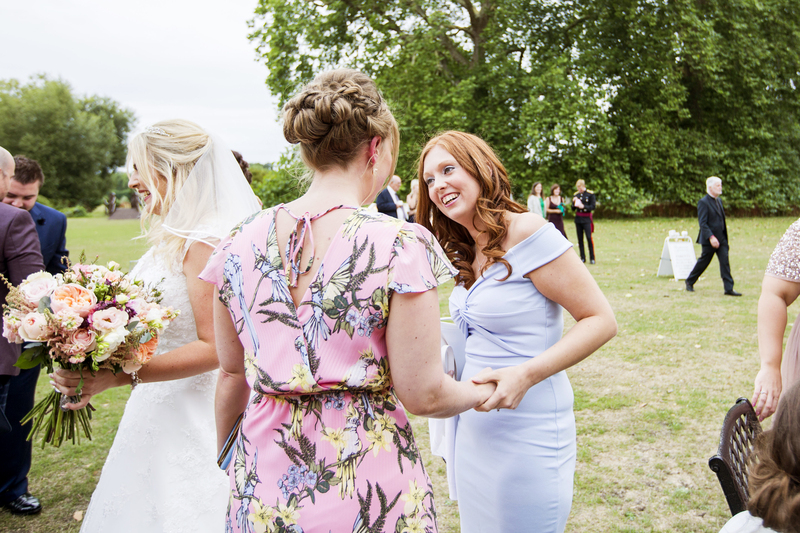 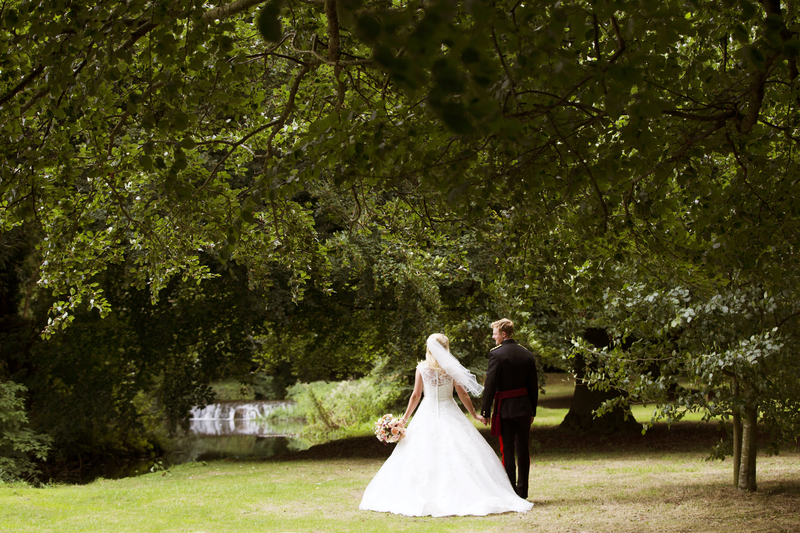 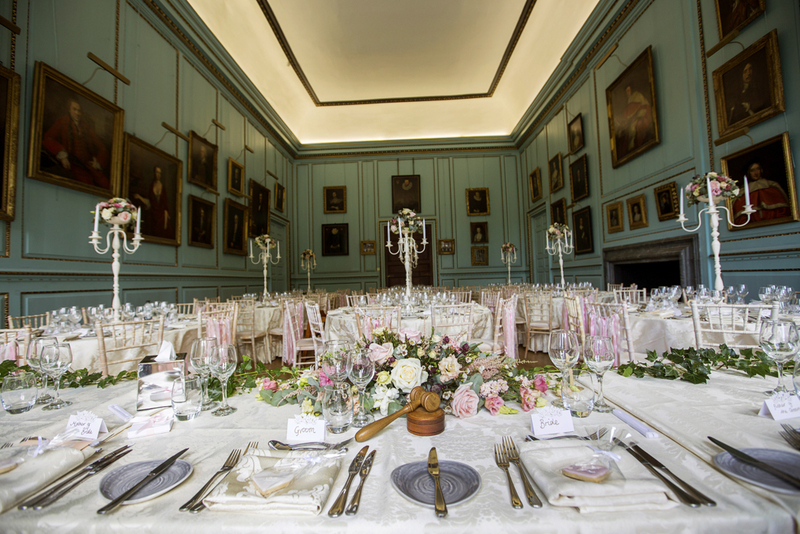 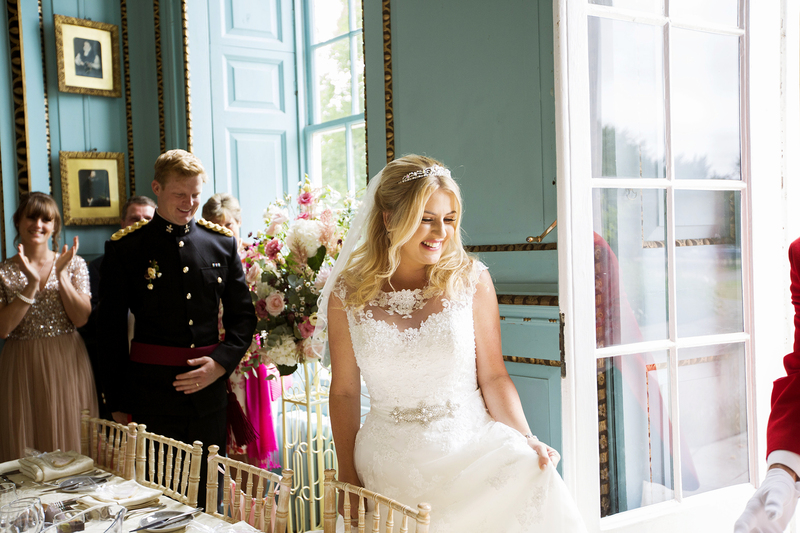 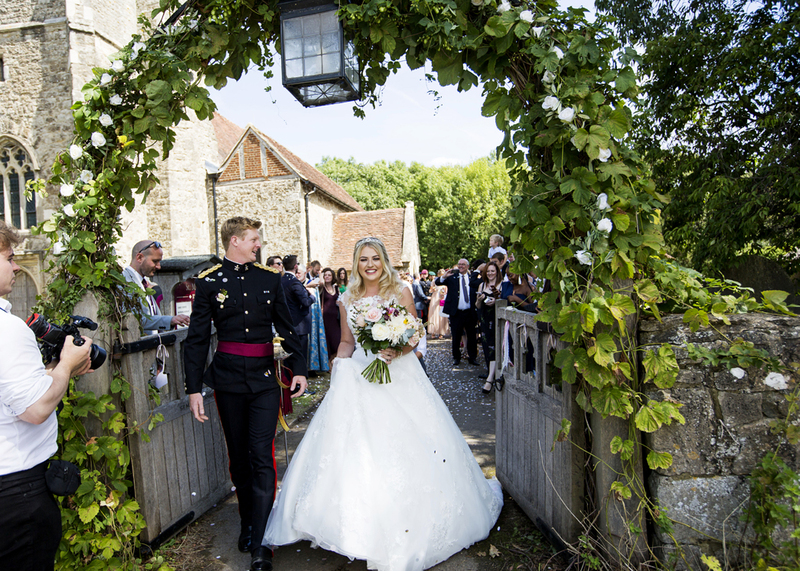 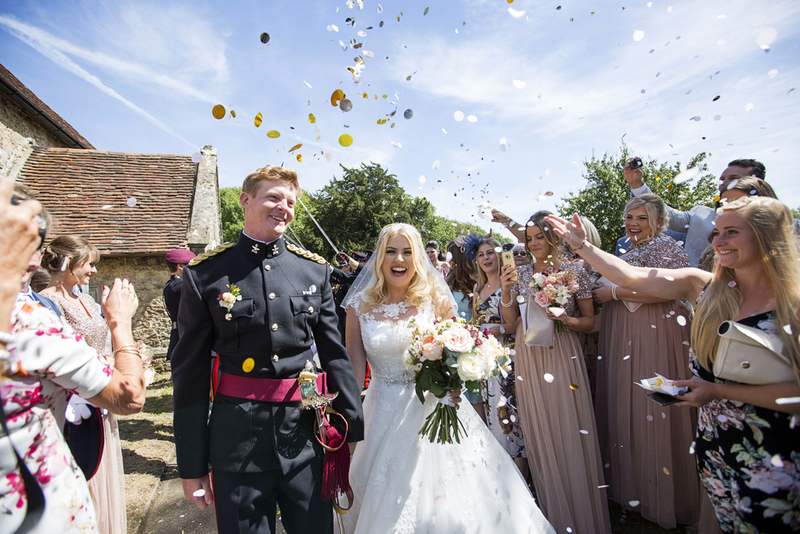 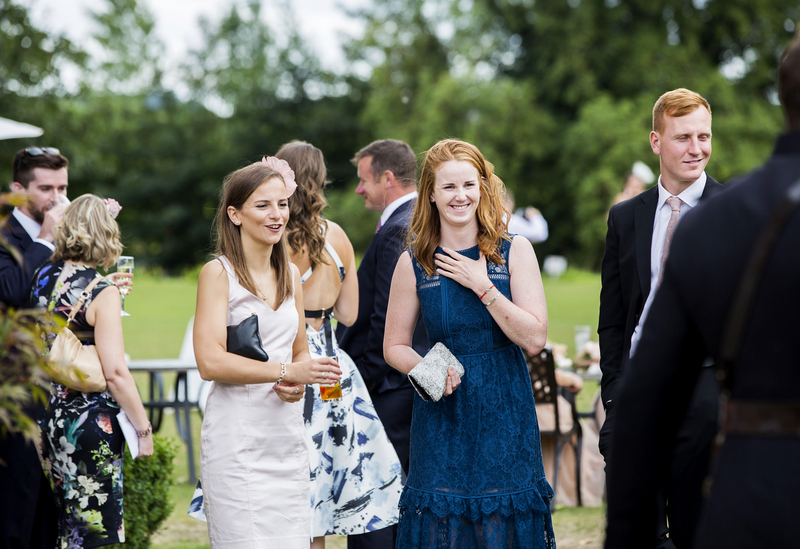 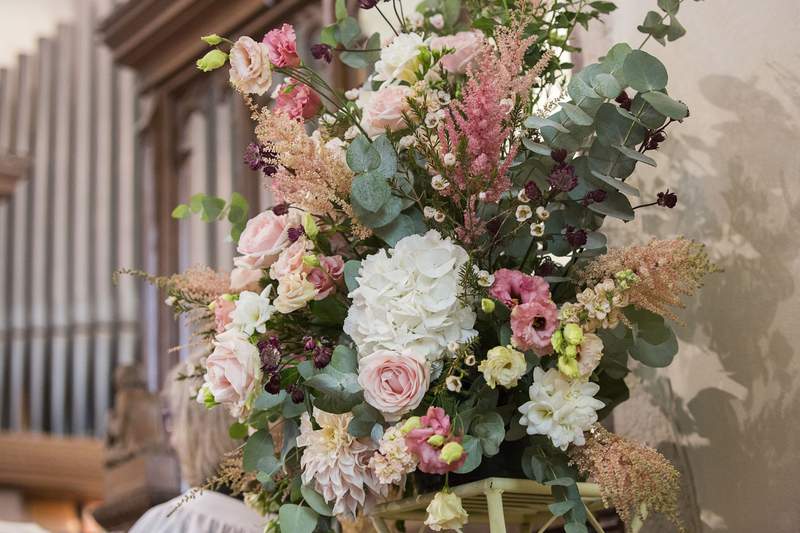 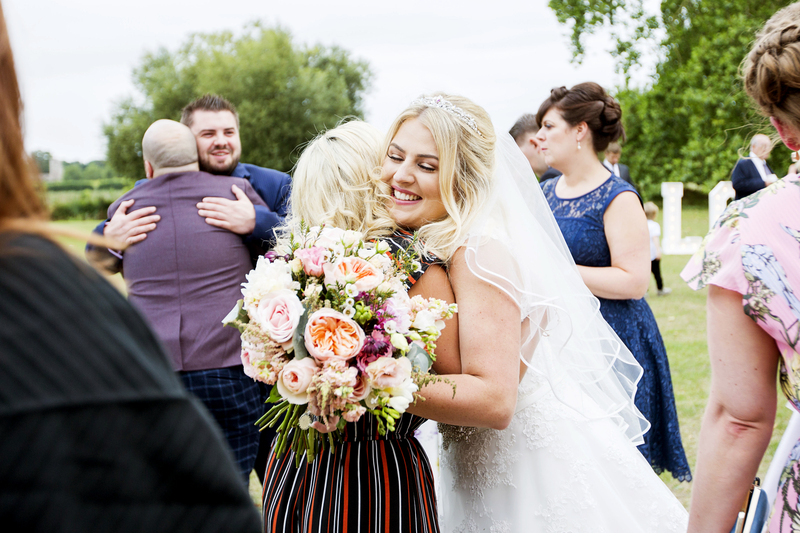 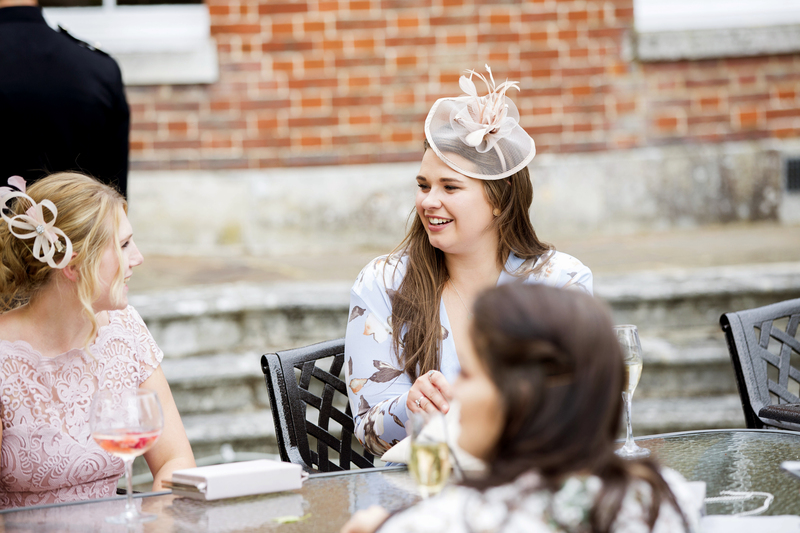 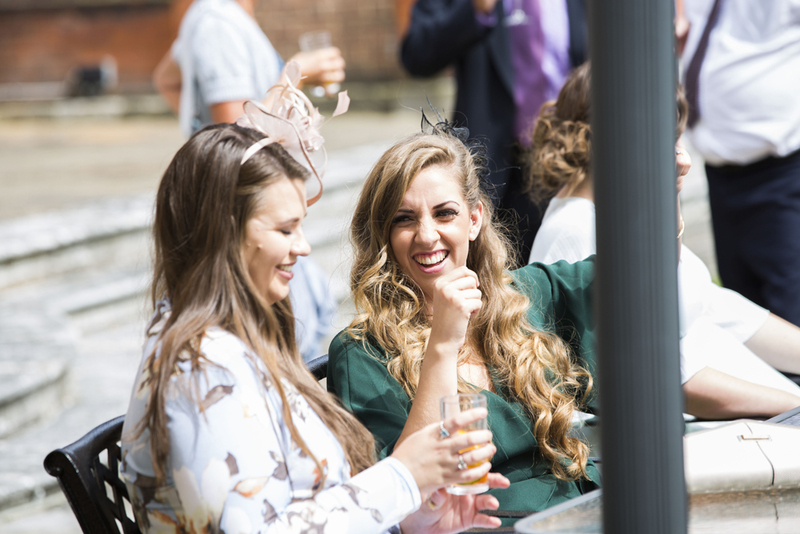 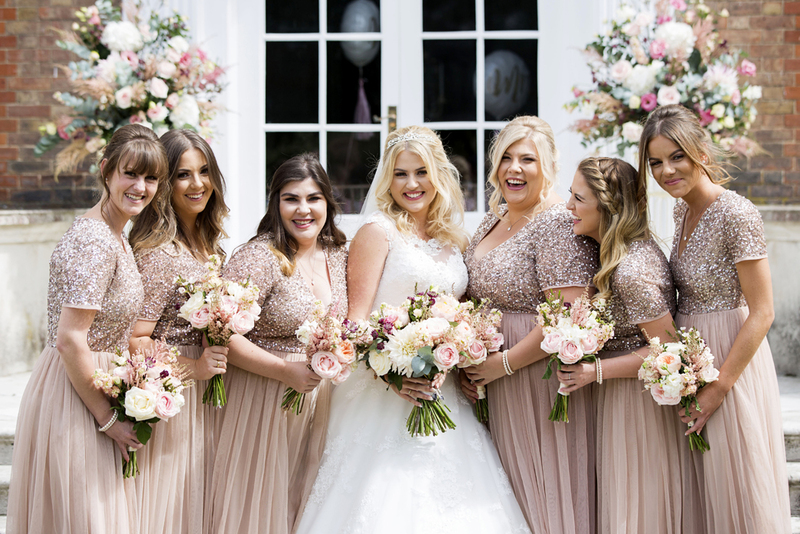 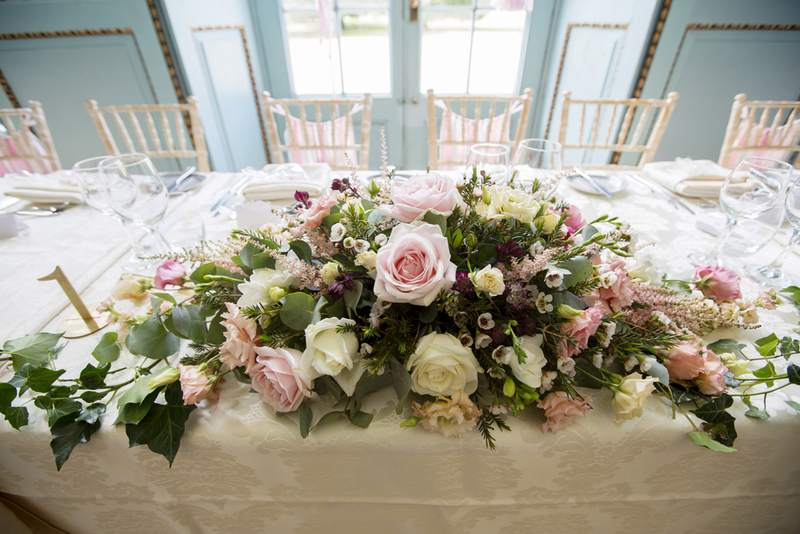 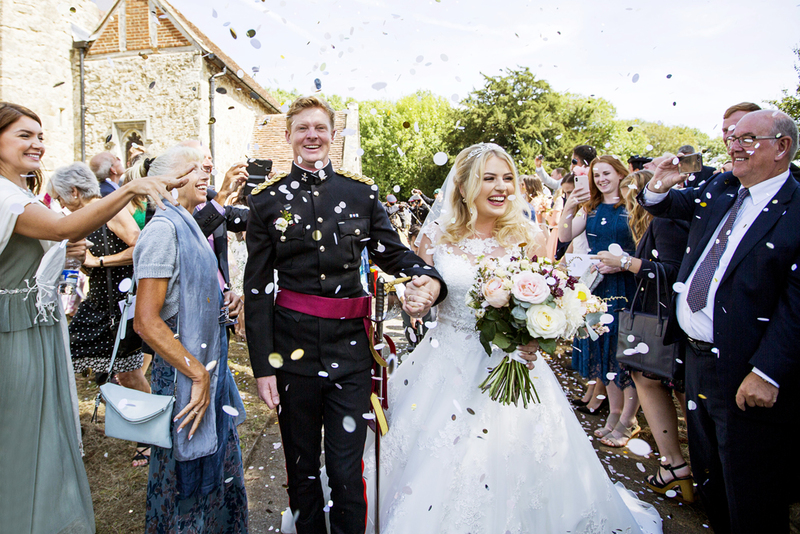 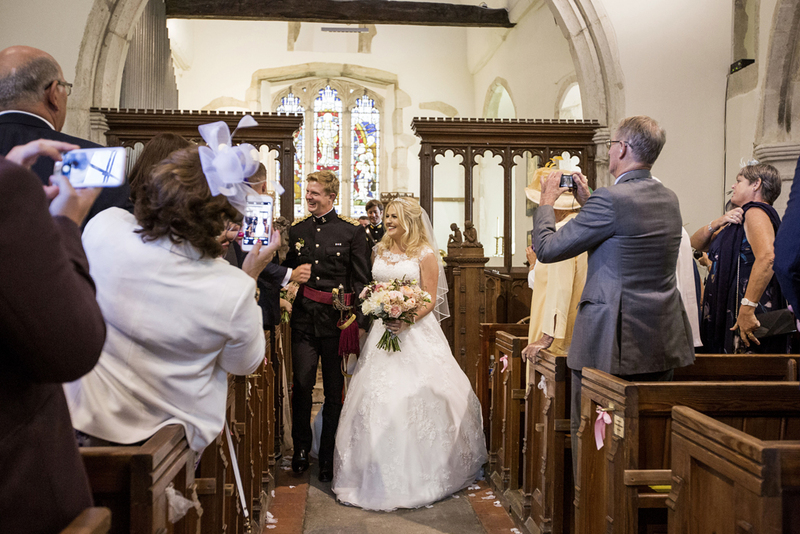 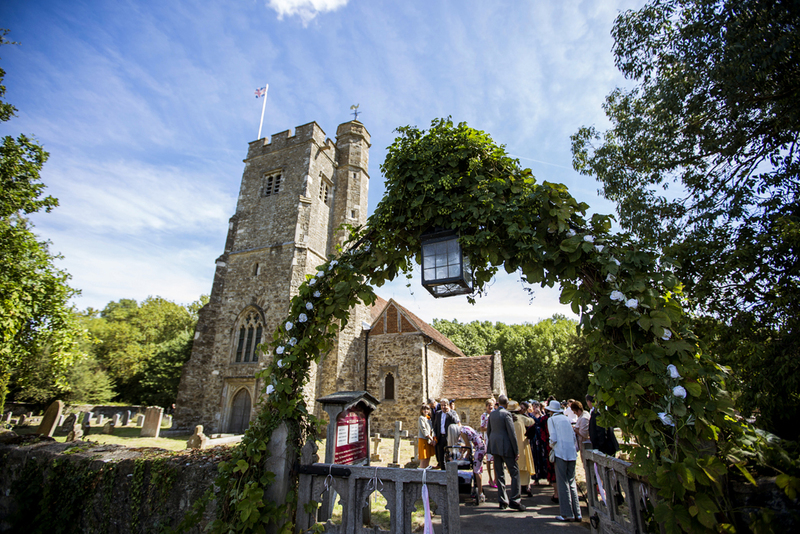 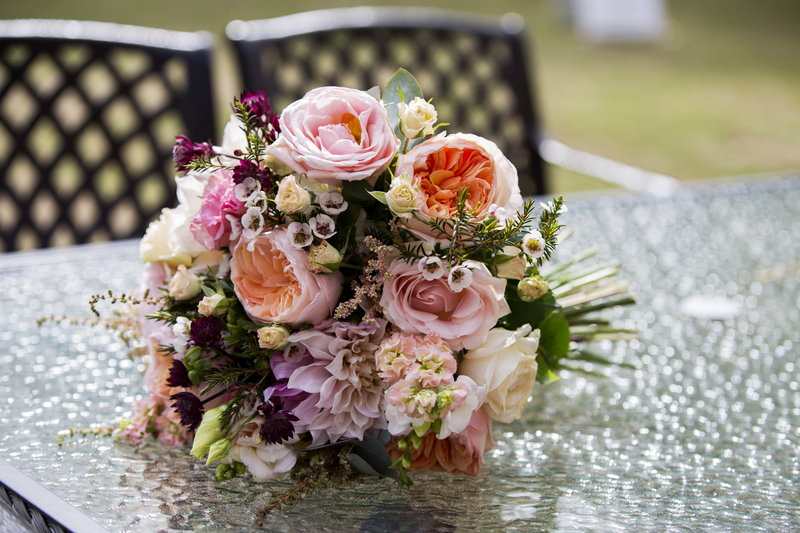 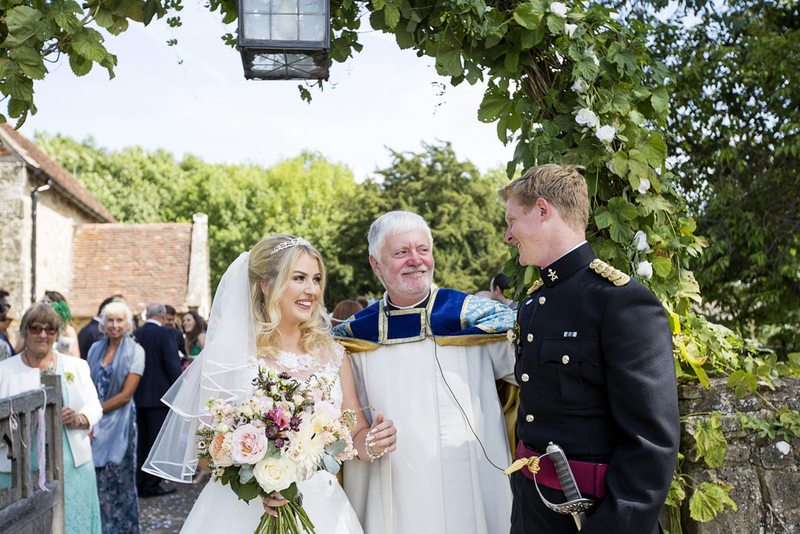 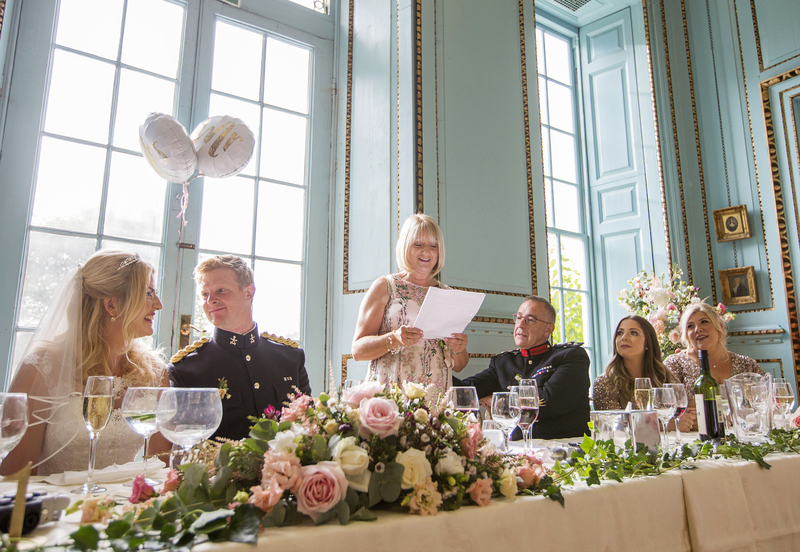 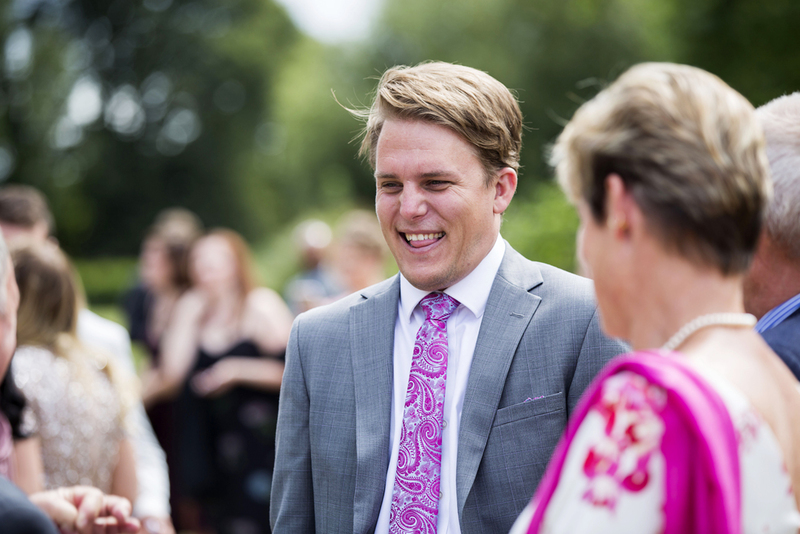 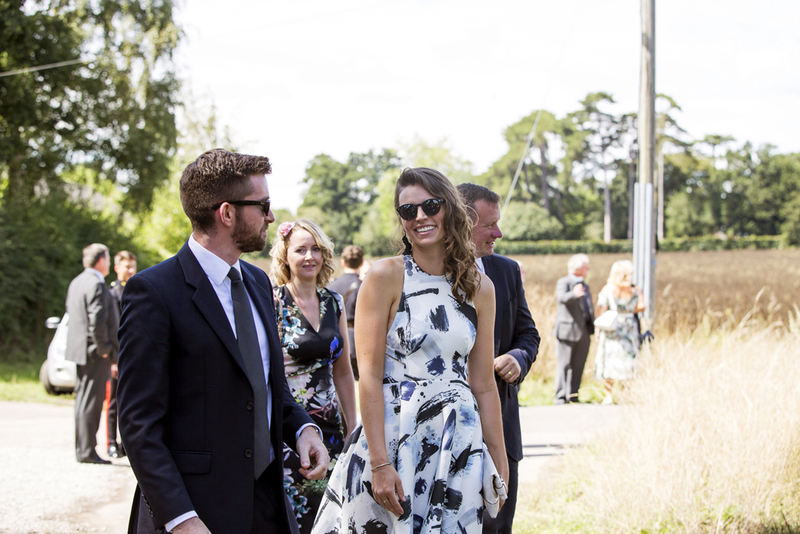 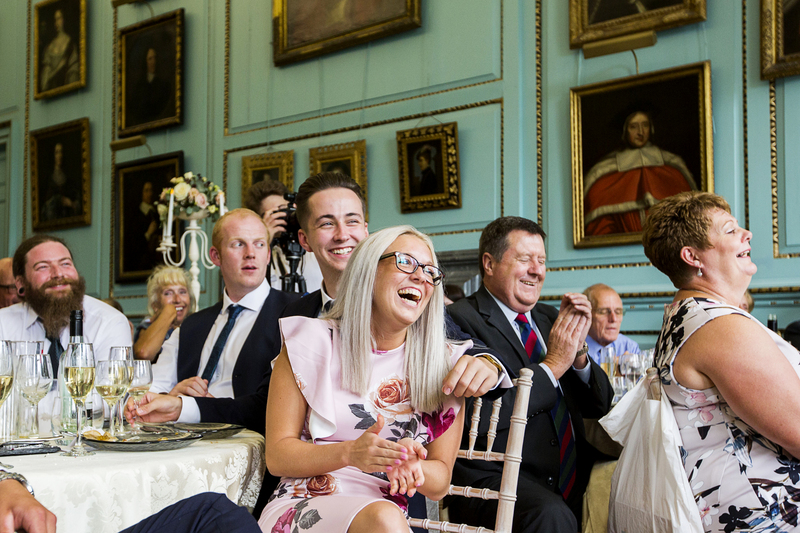 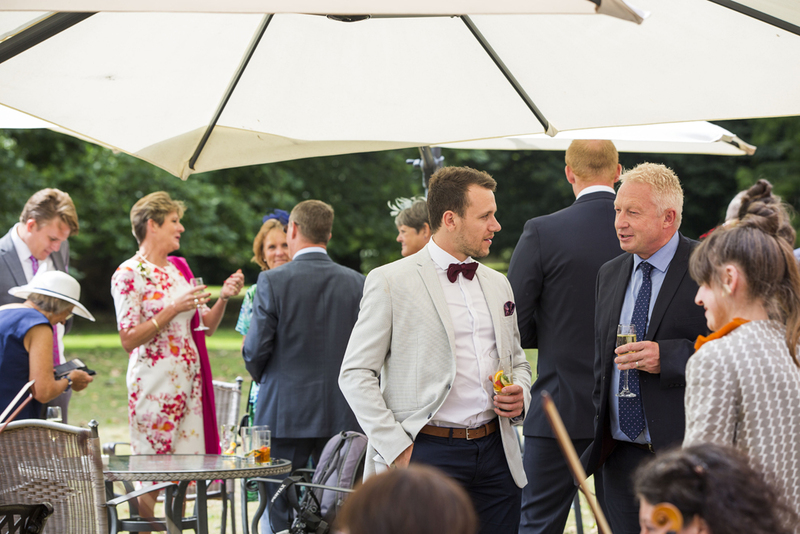 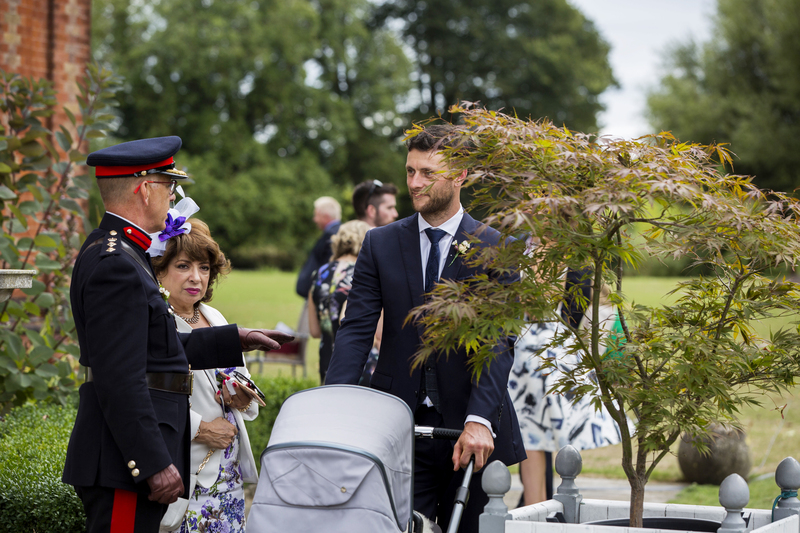 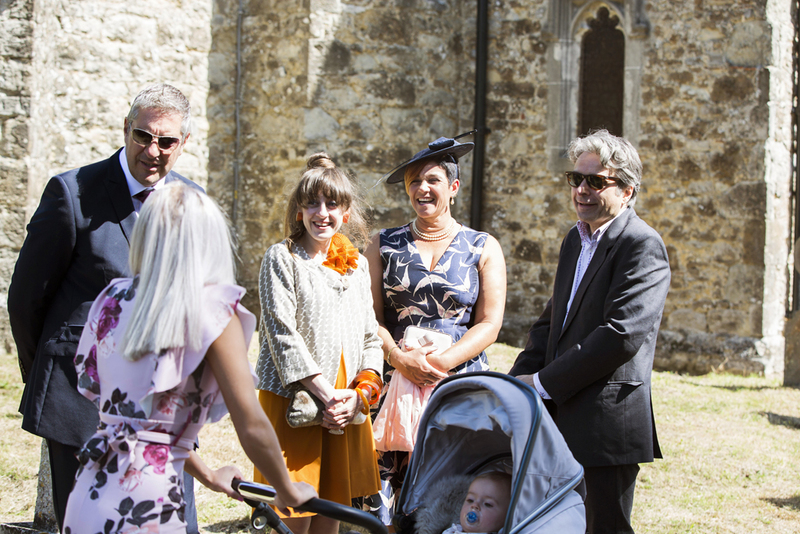 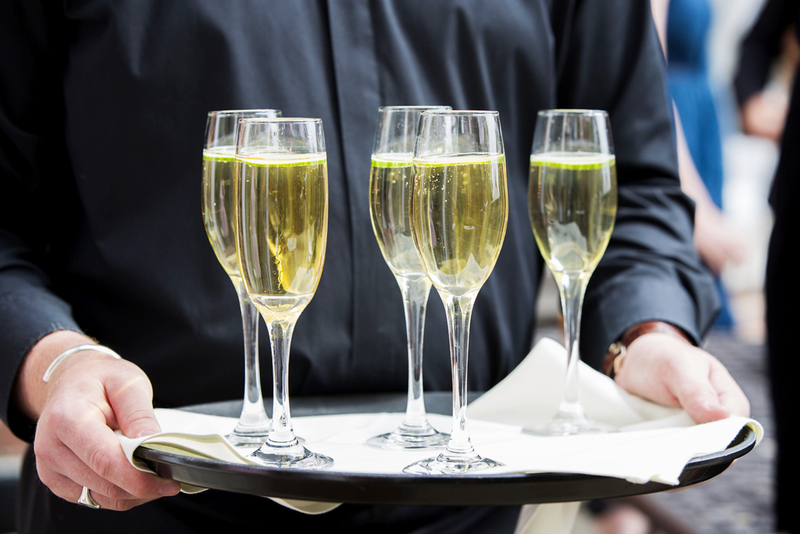 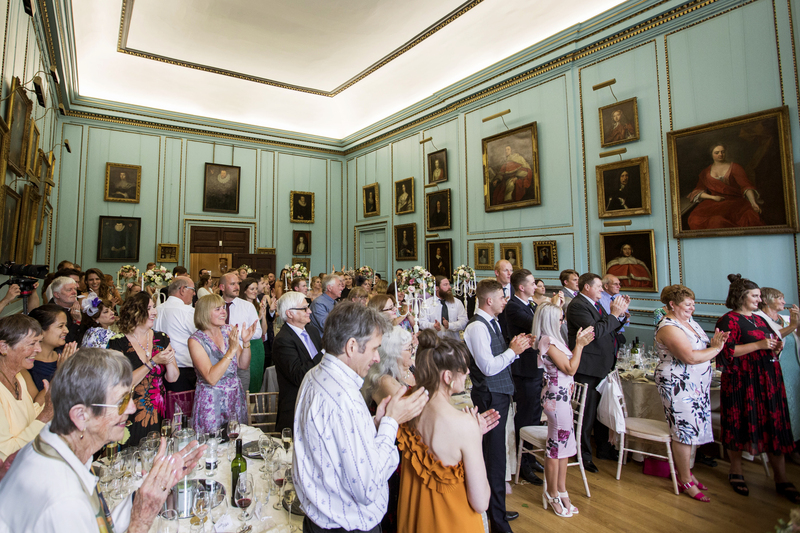 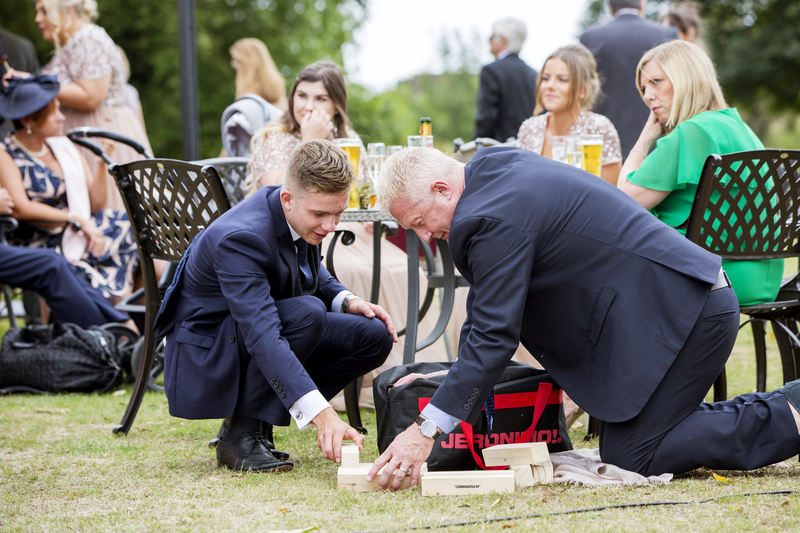 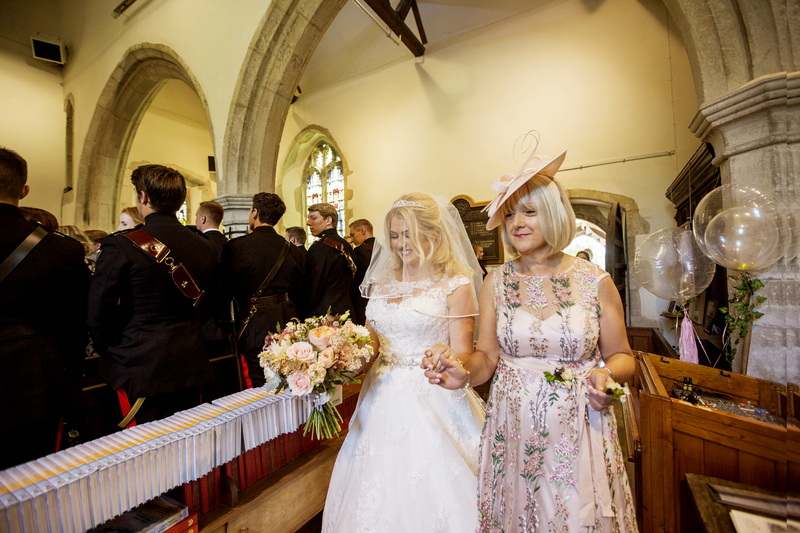 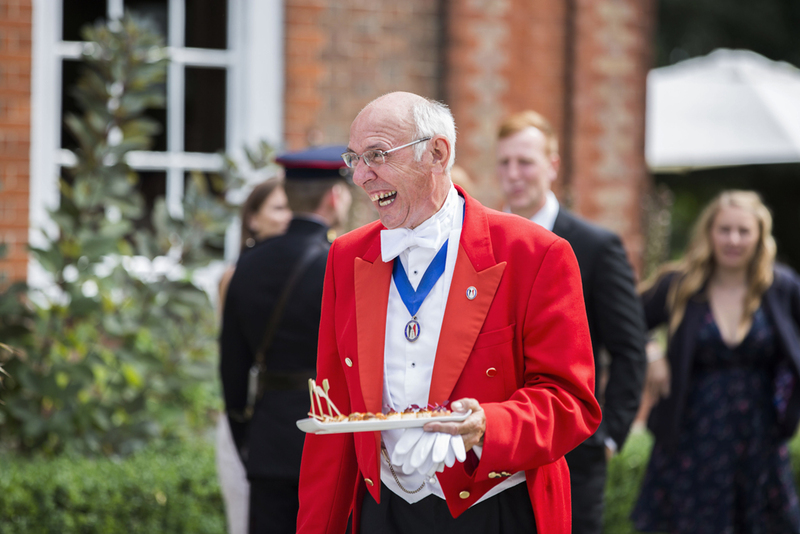 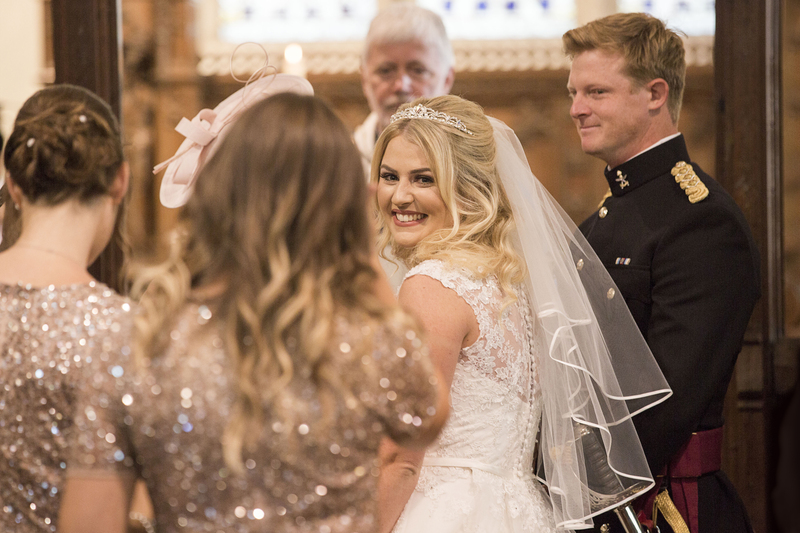 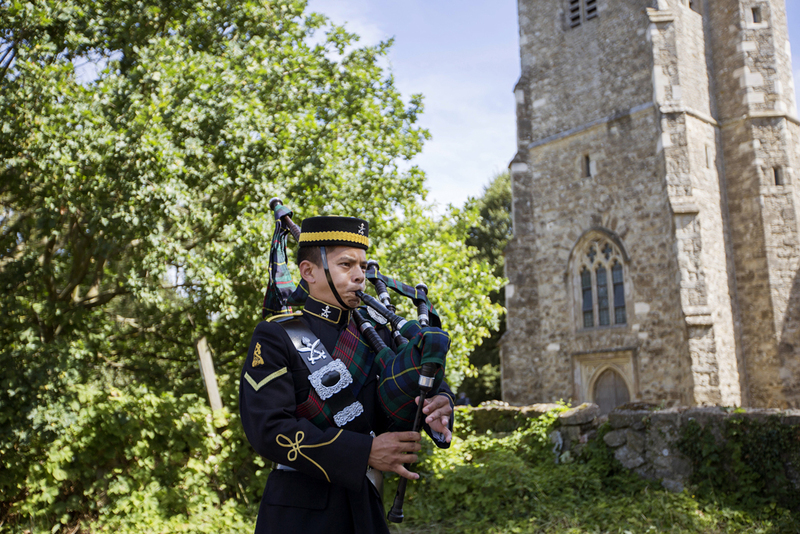 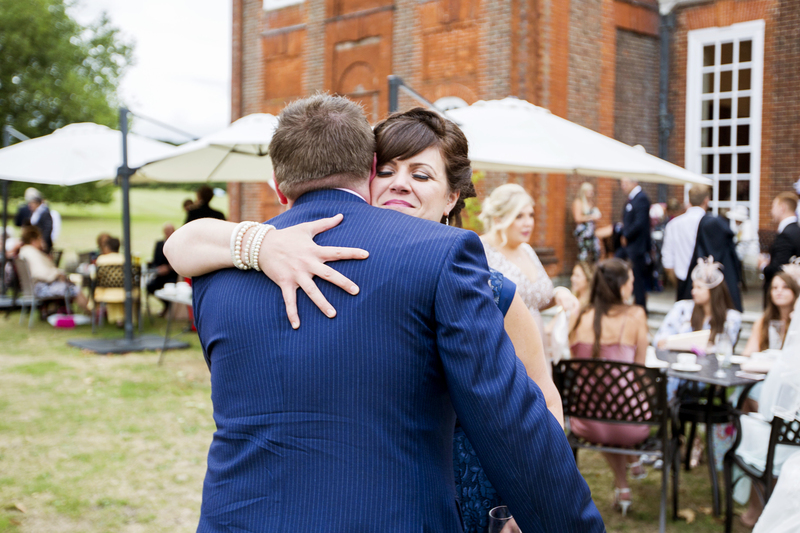 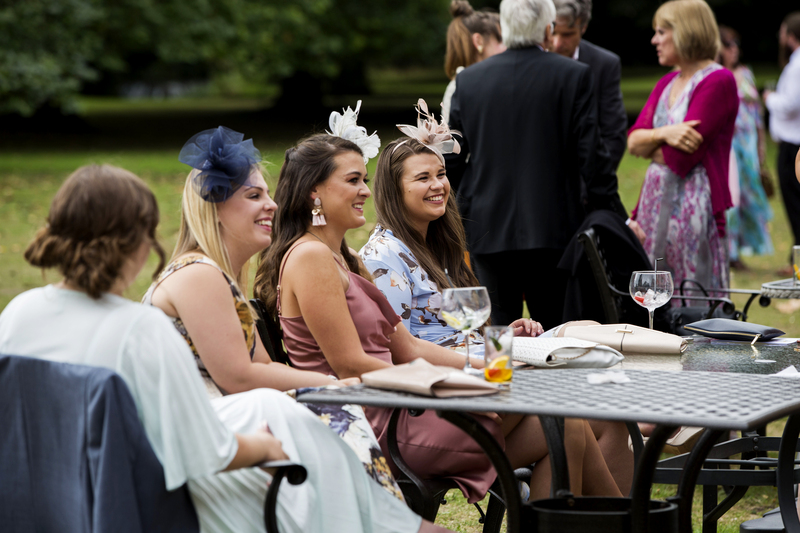 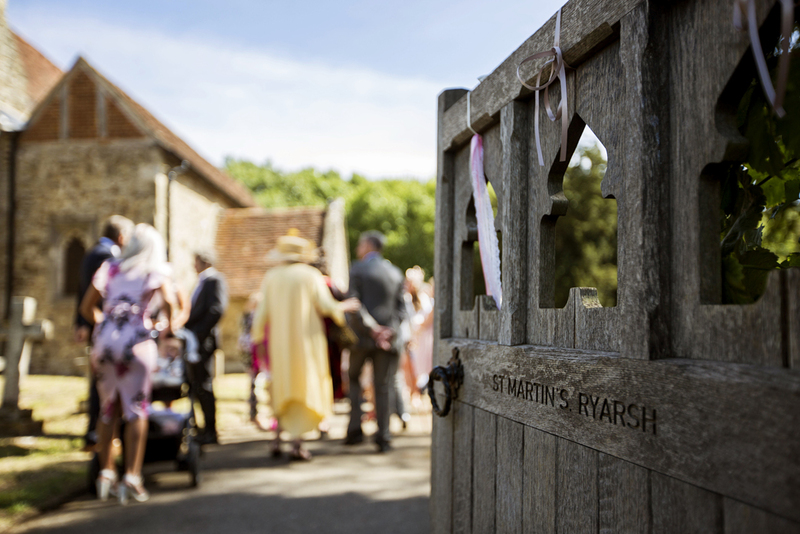 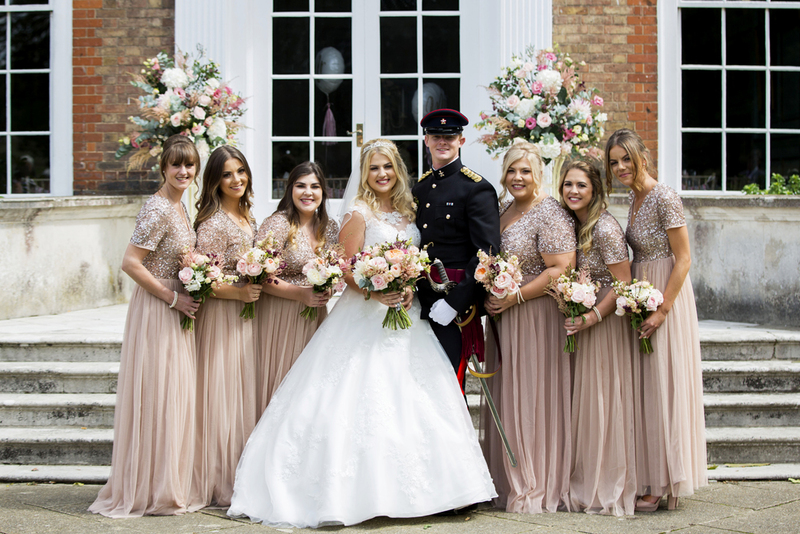 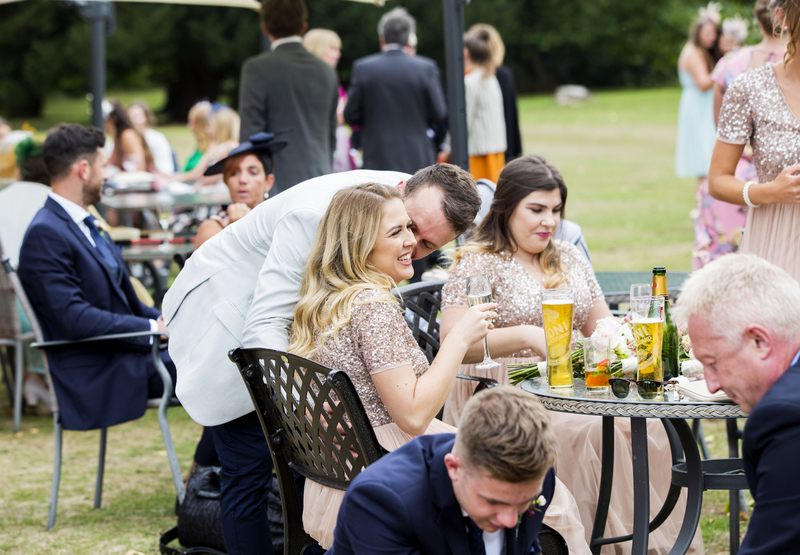 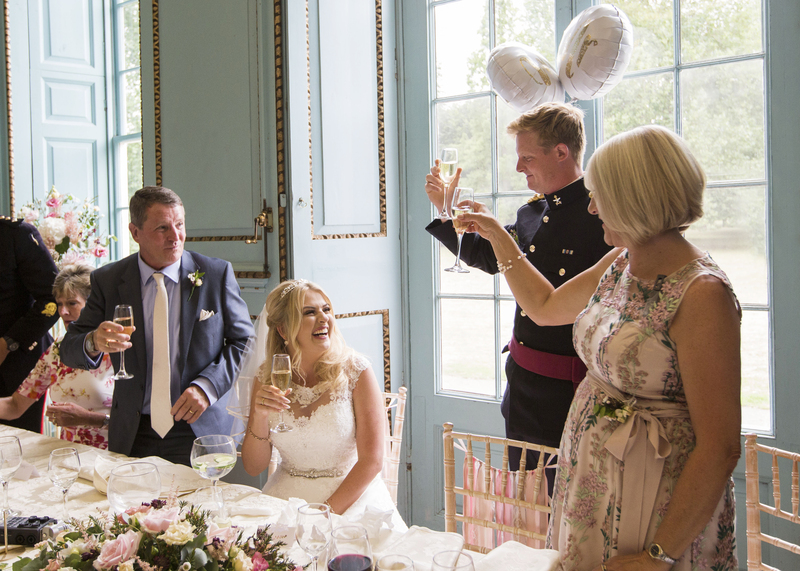 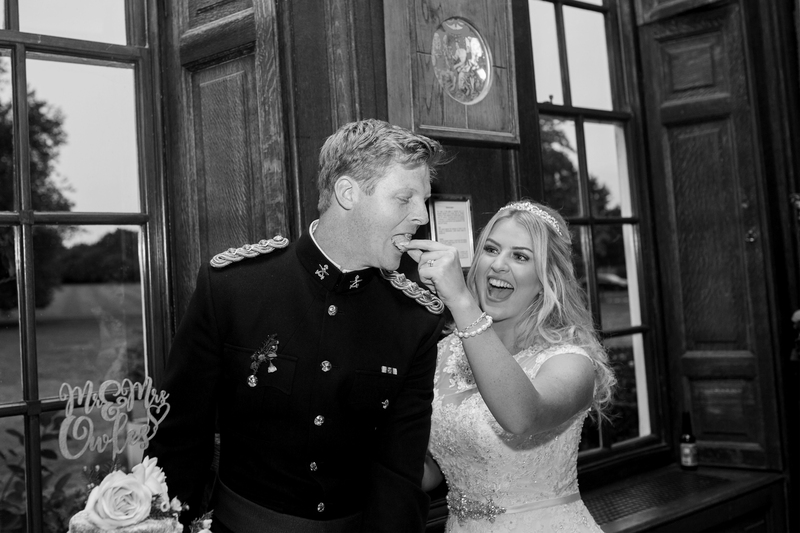 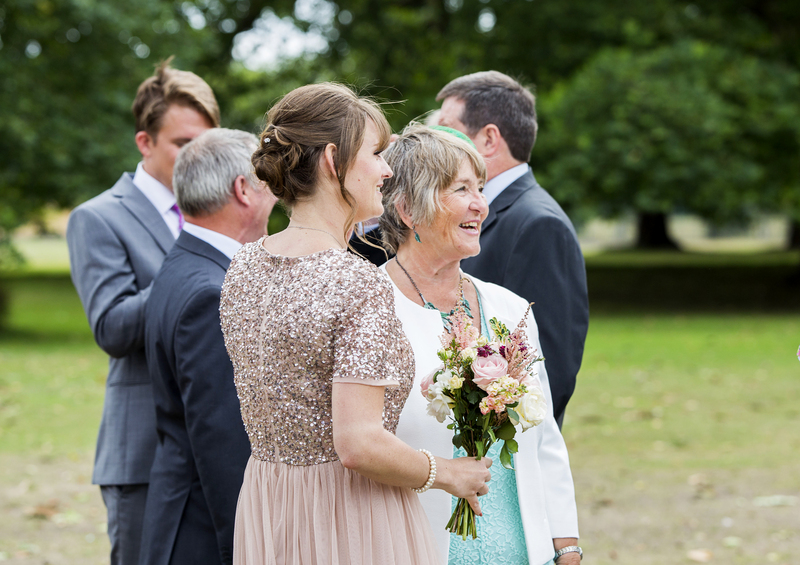 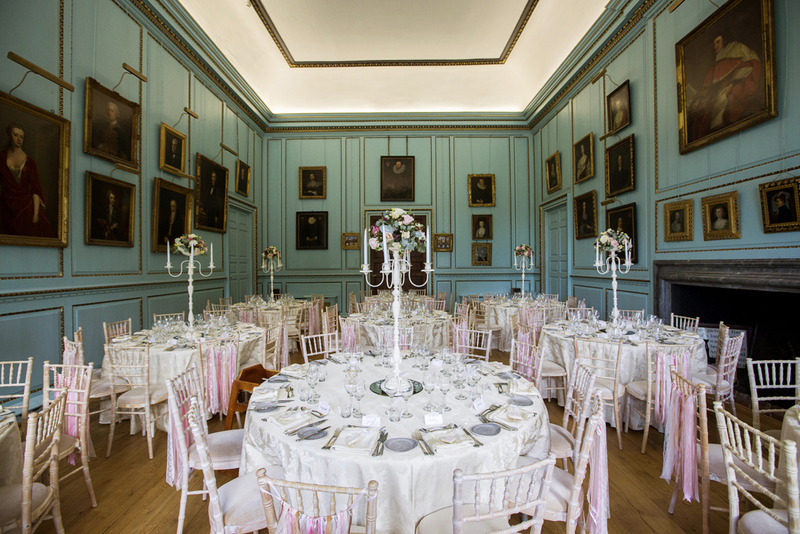 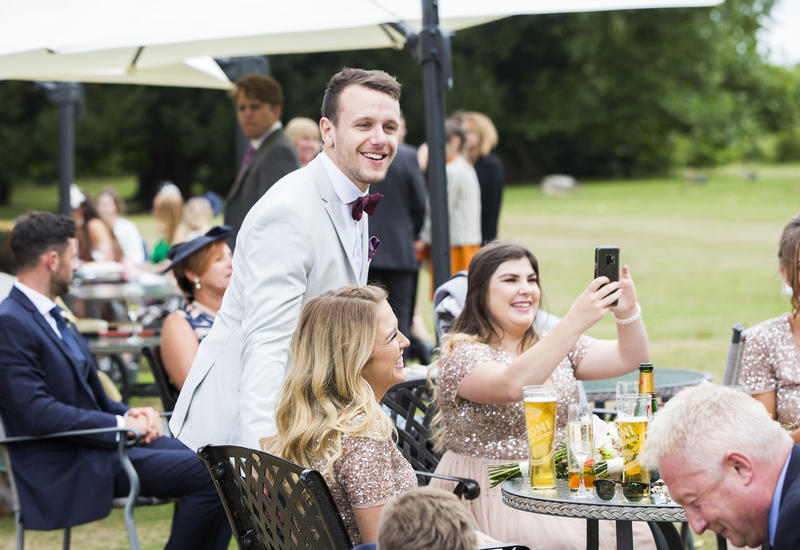 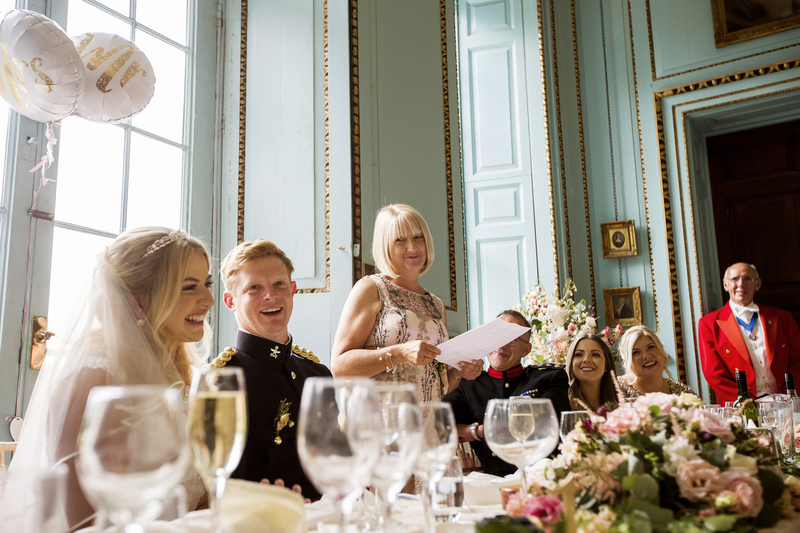 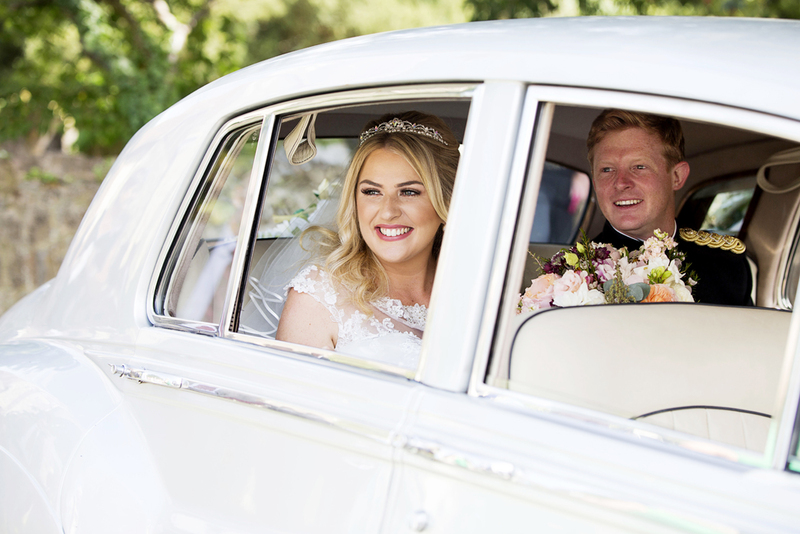 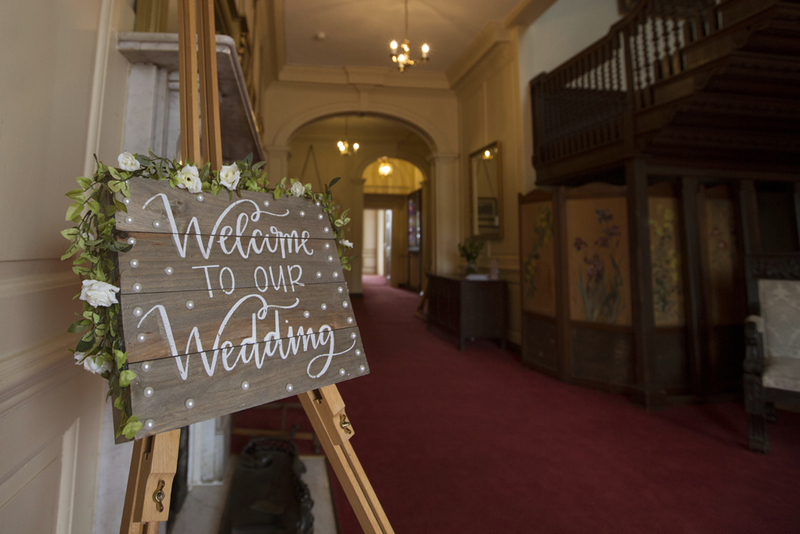 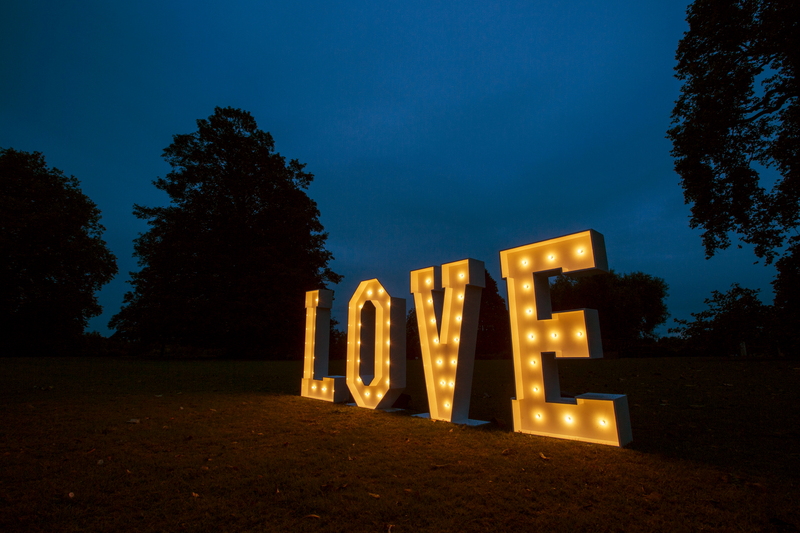 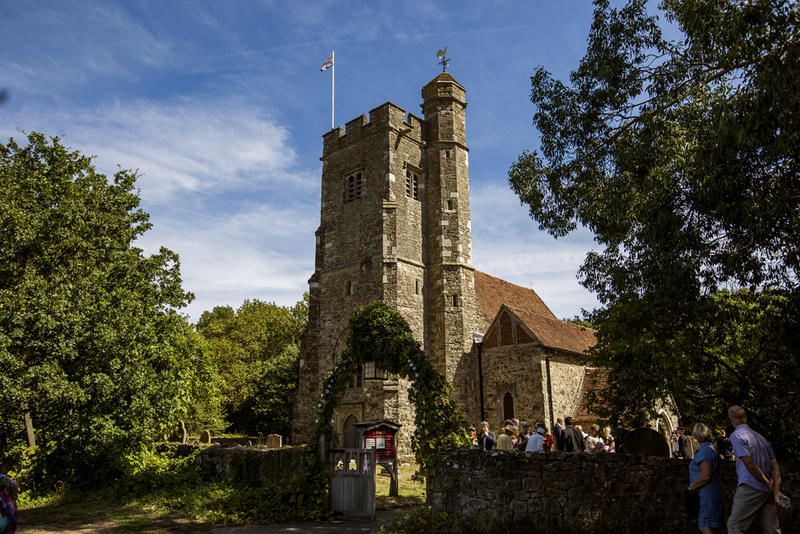 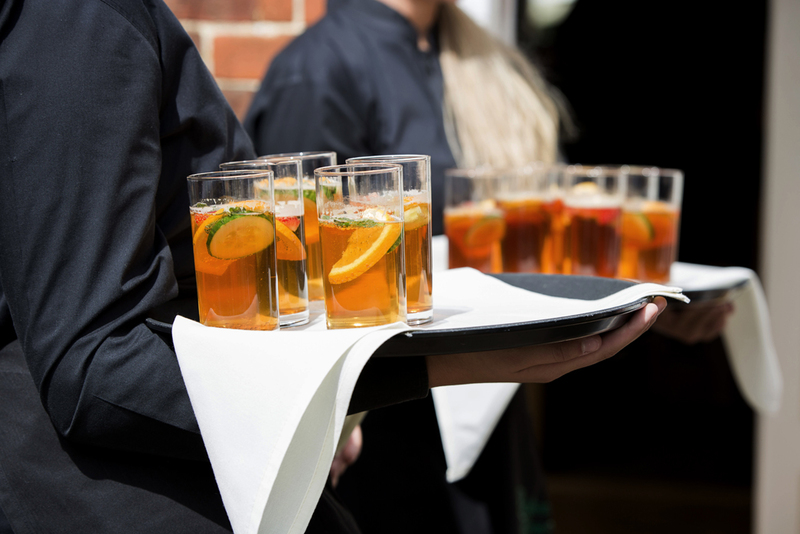 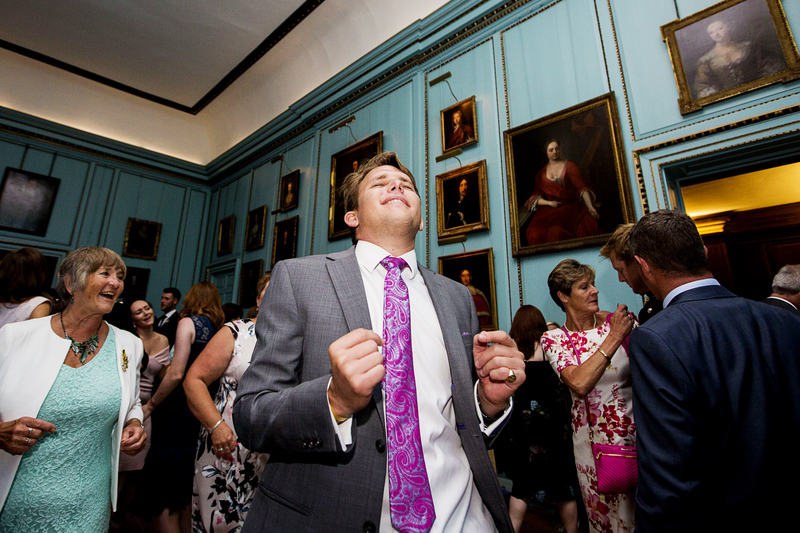 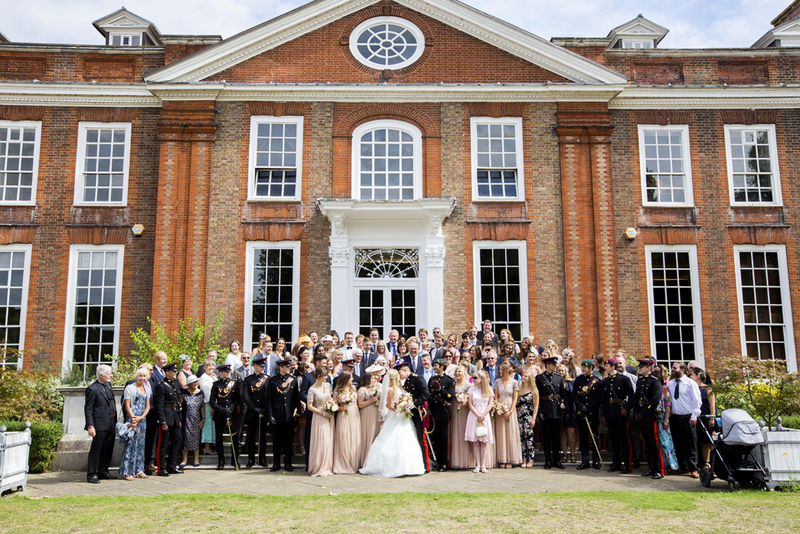 A beautiful summer’s day, the gorgeous Kent countryside, Pimm’s on tap and a beaming bride and groom – this is what great weddings are made of. 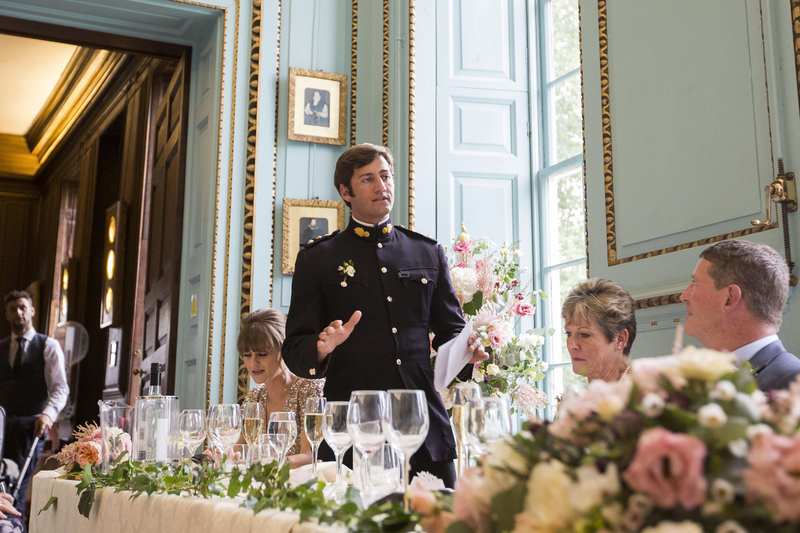 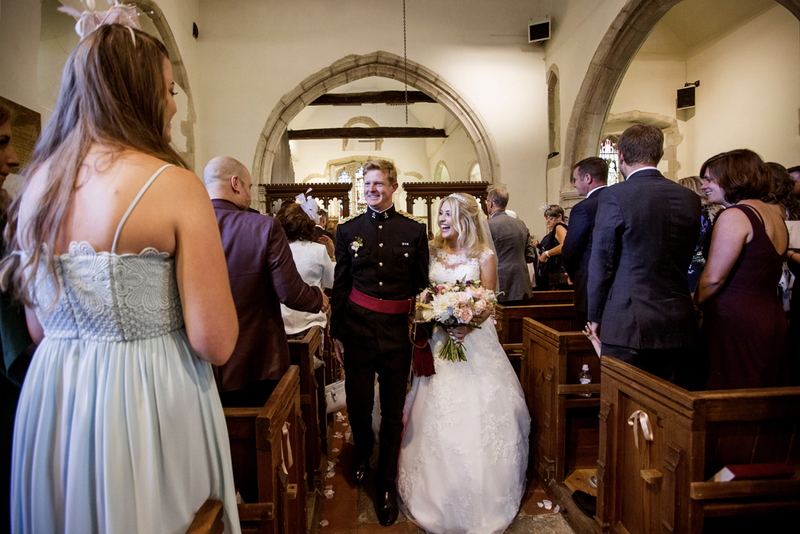 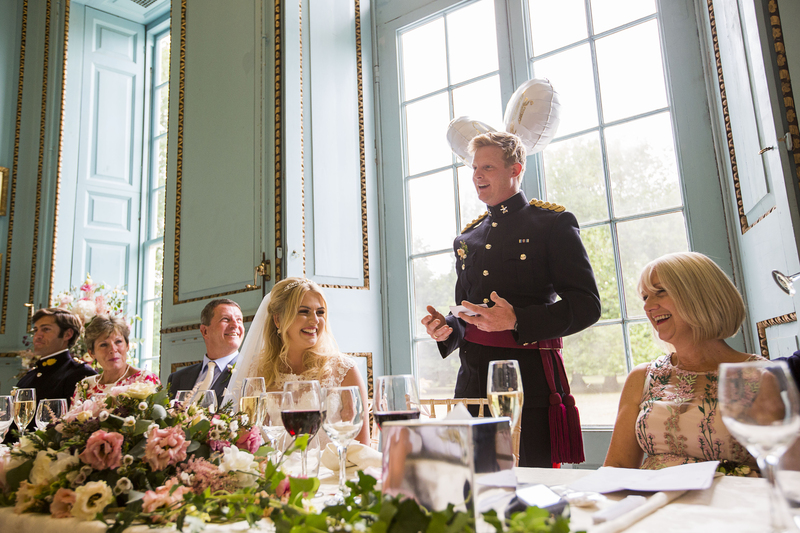 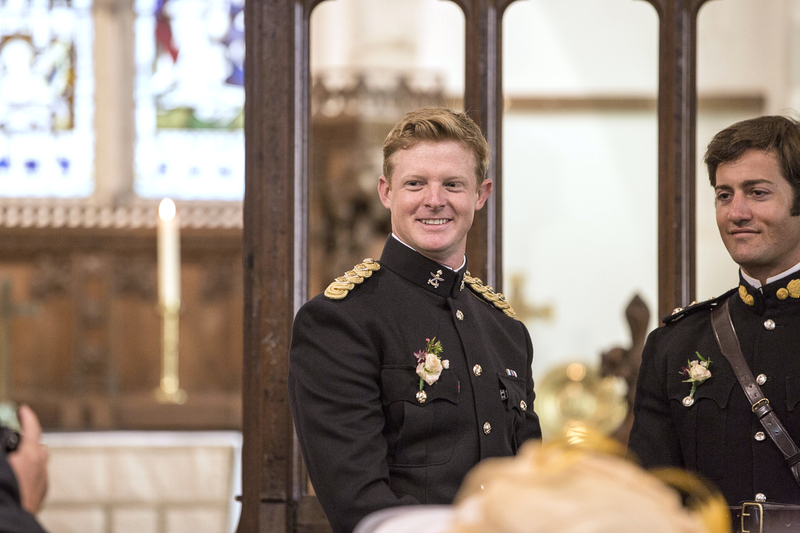 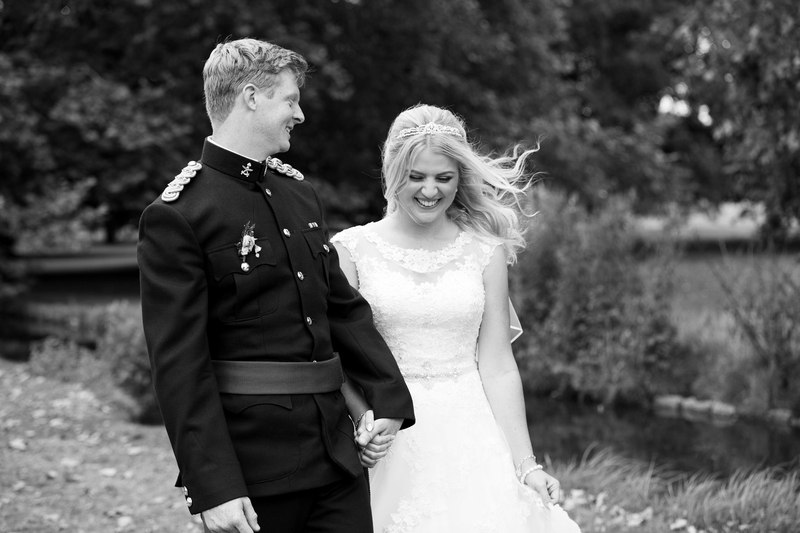 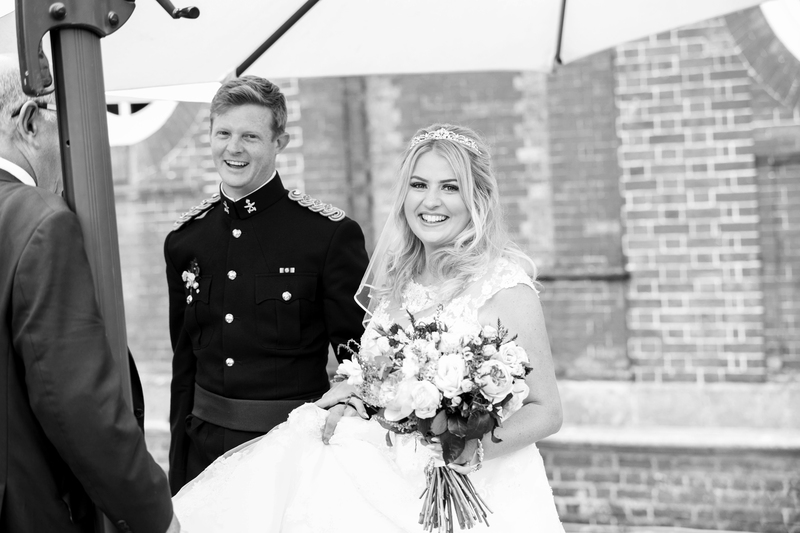 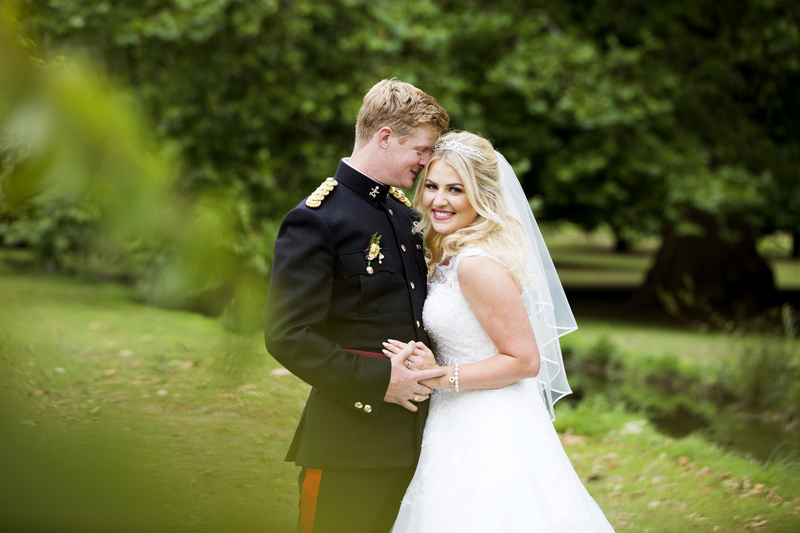 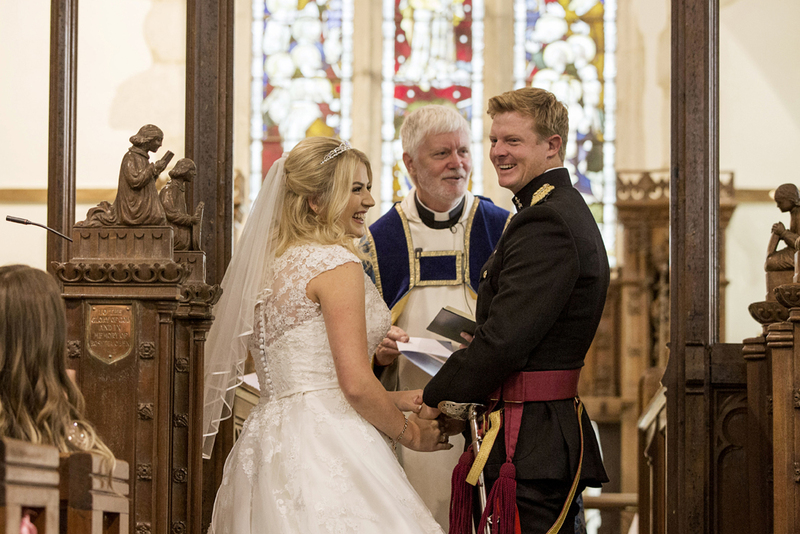 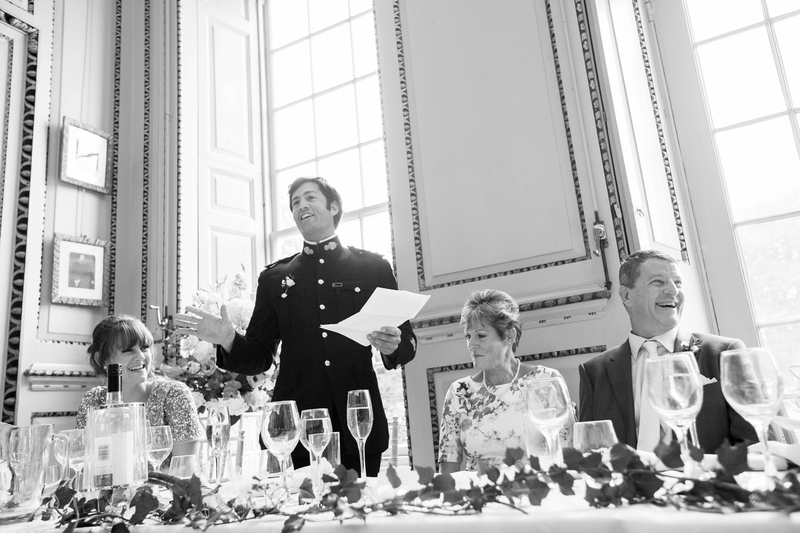 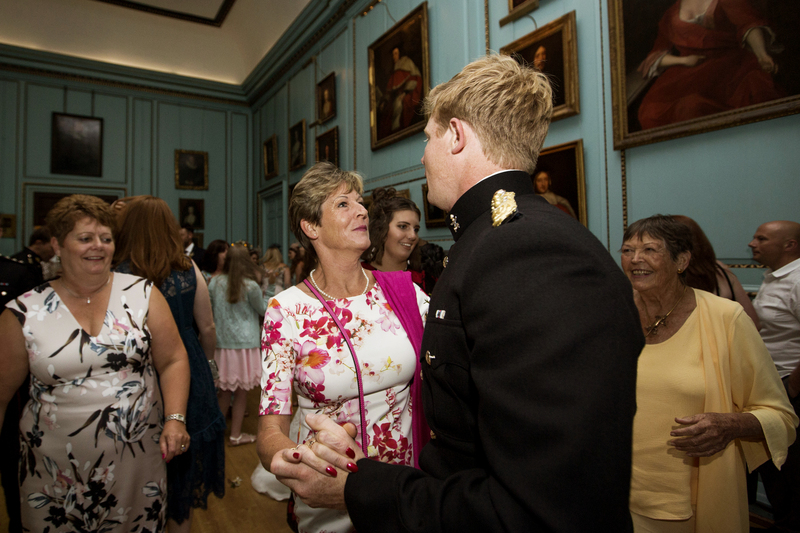 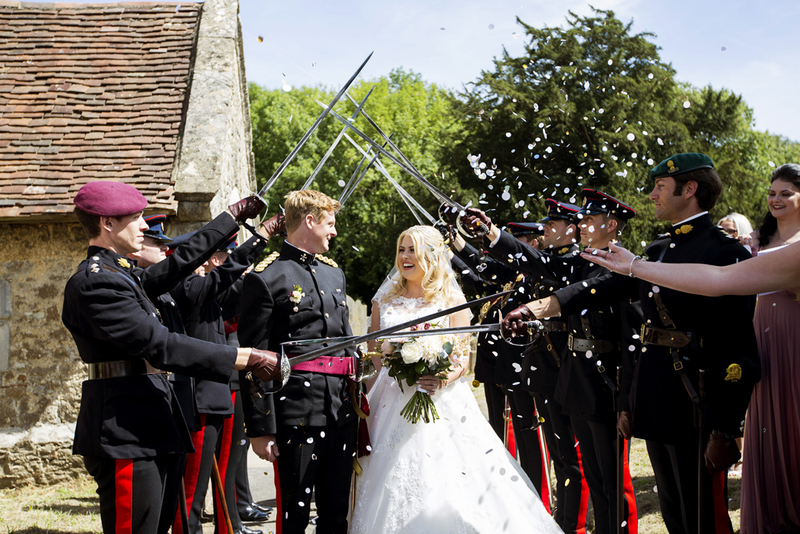 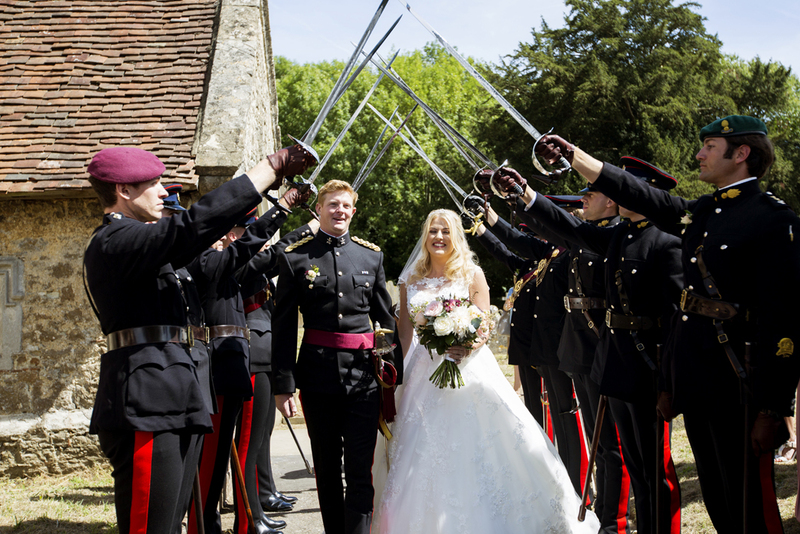 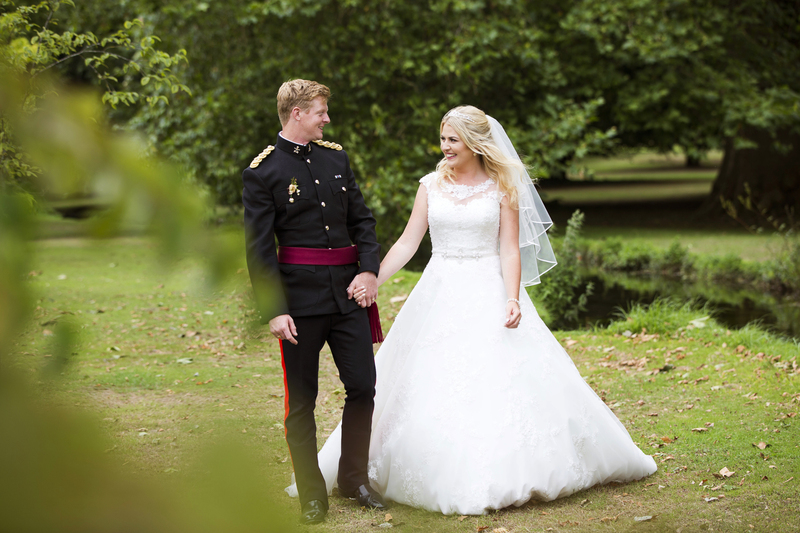 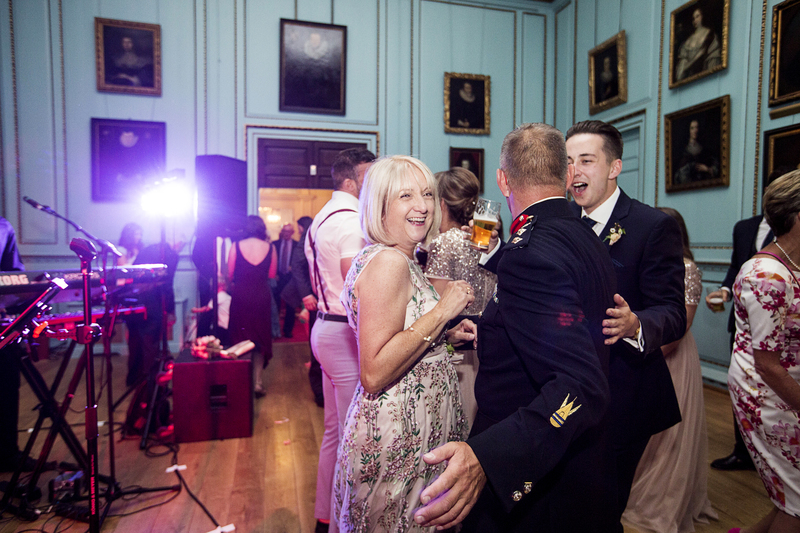 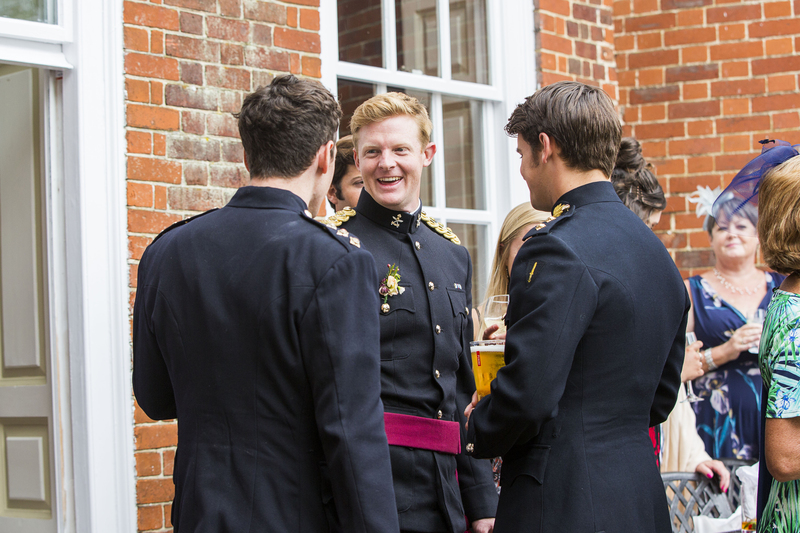 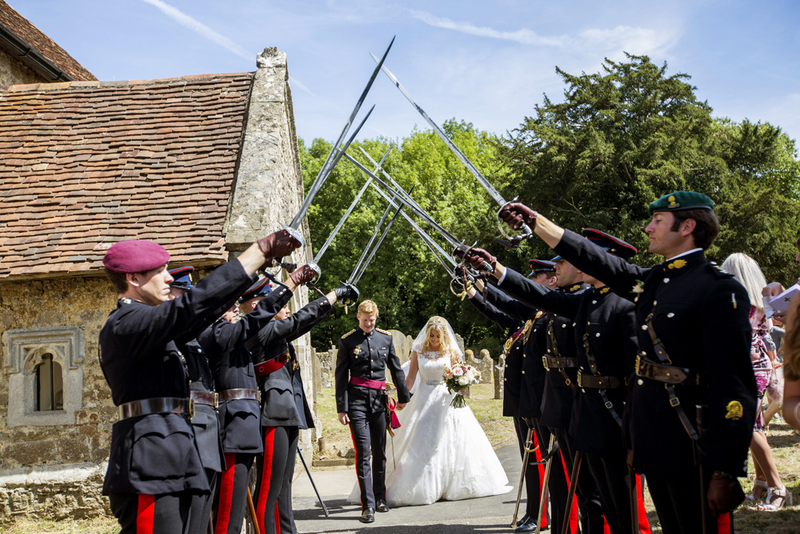 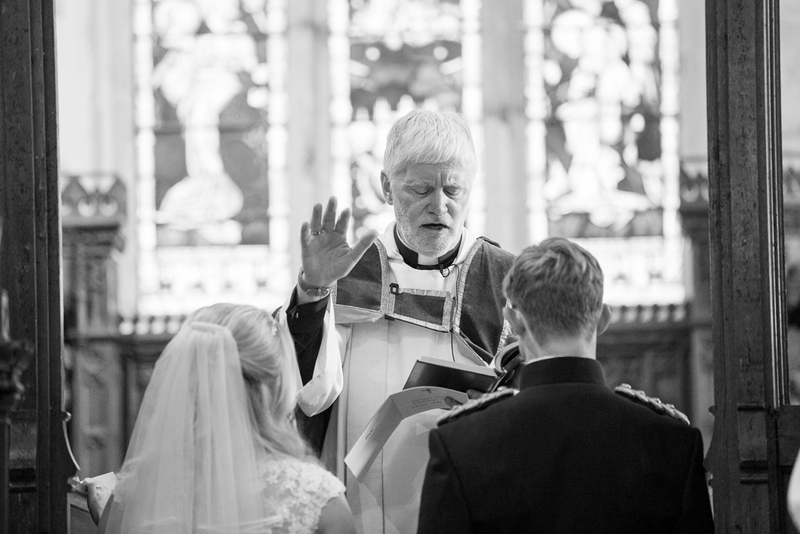 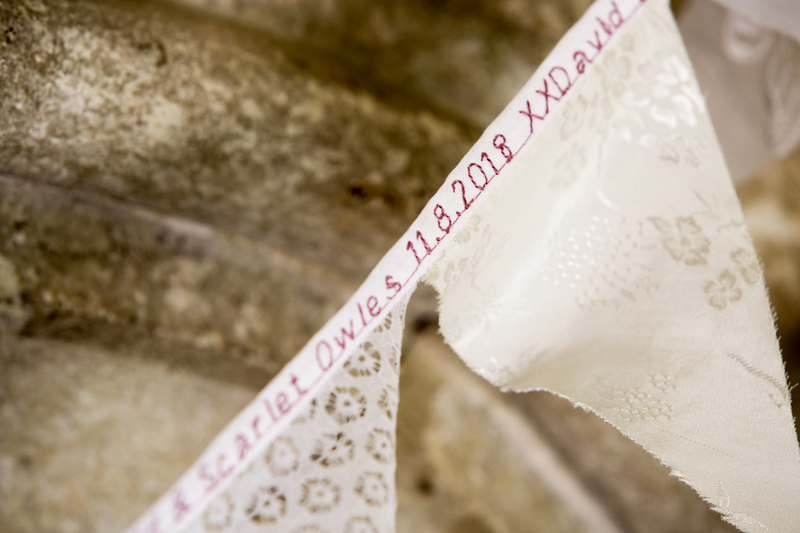 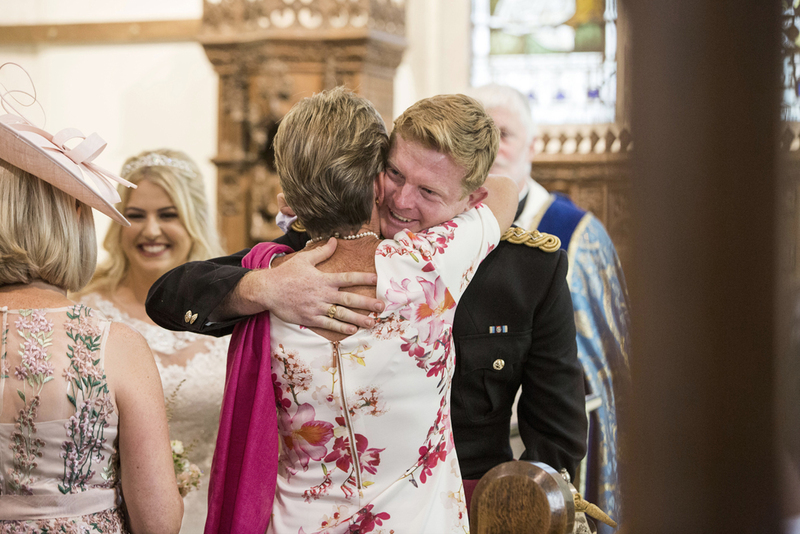 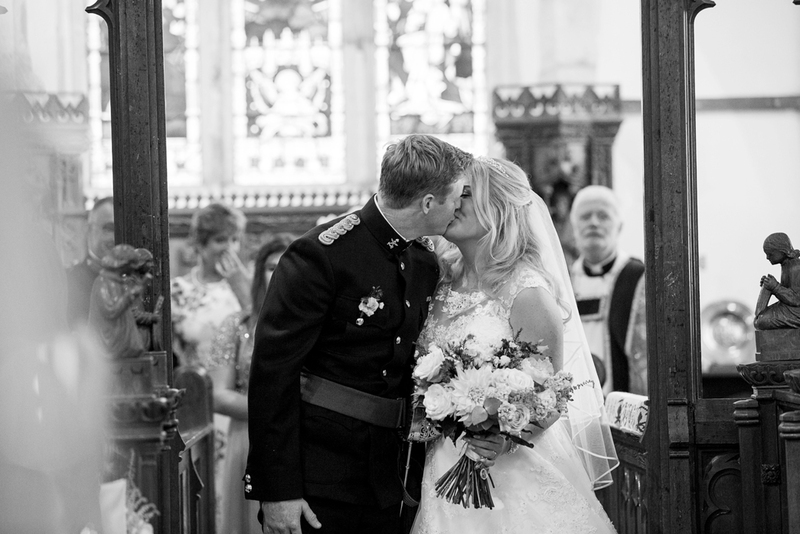 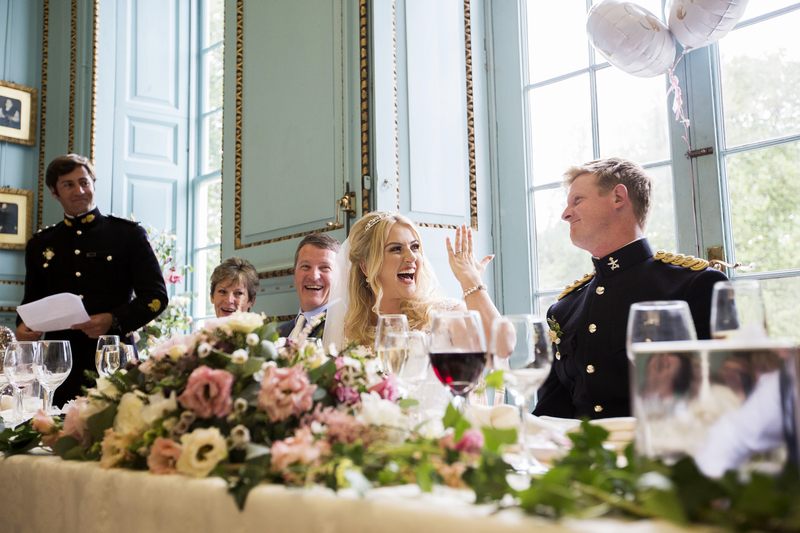 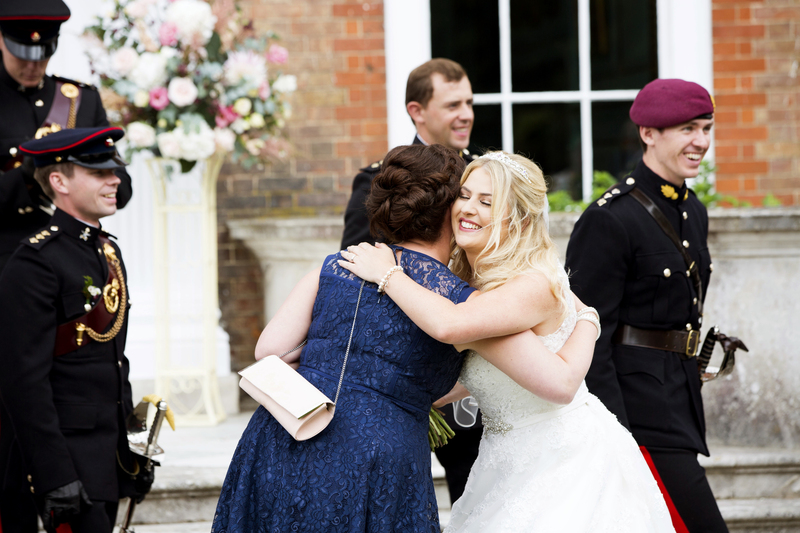 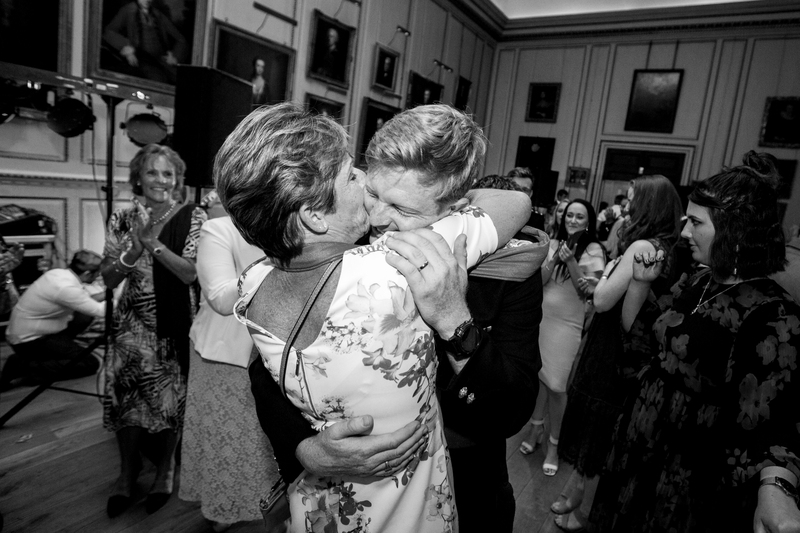 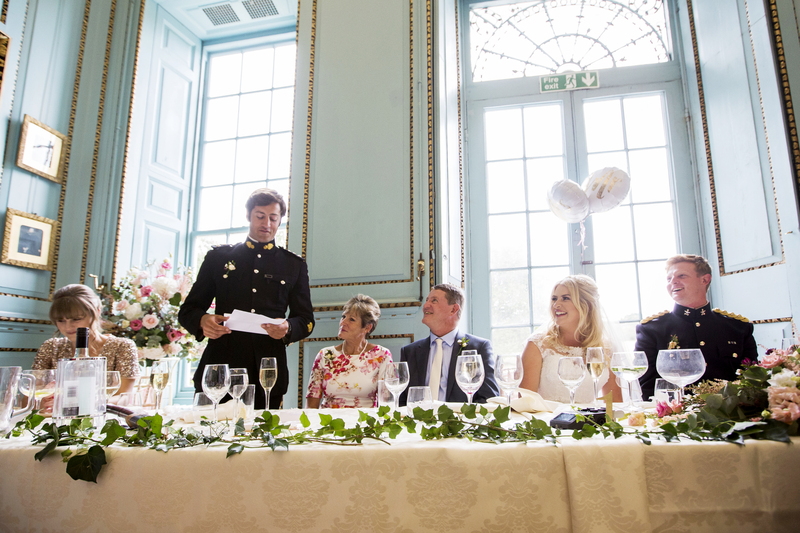 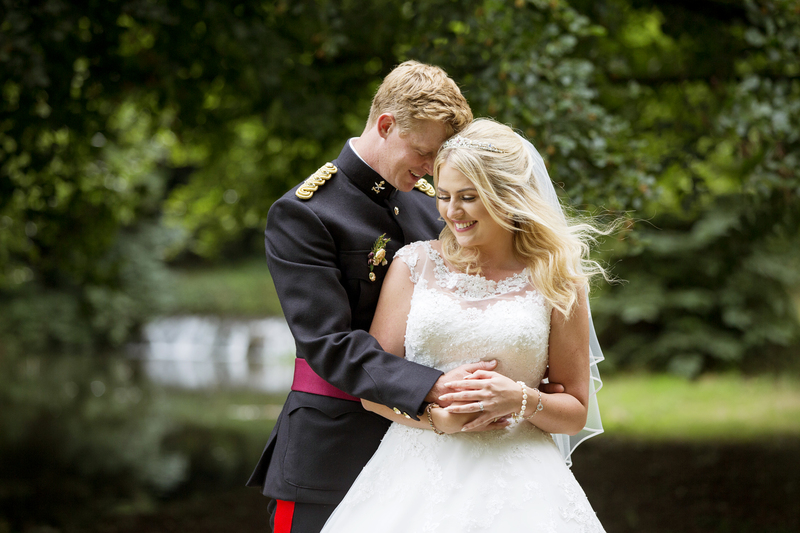 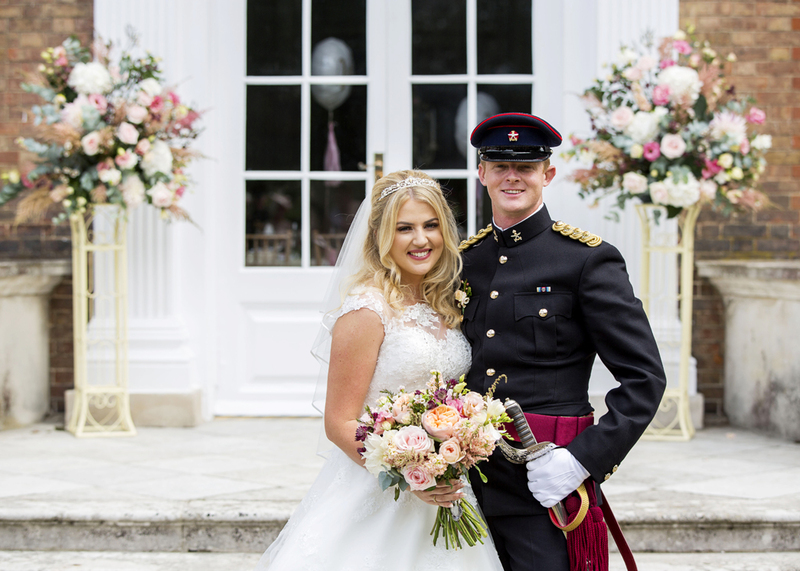 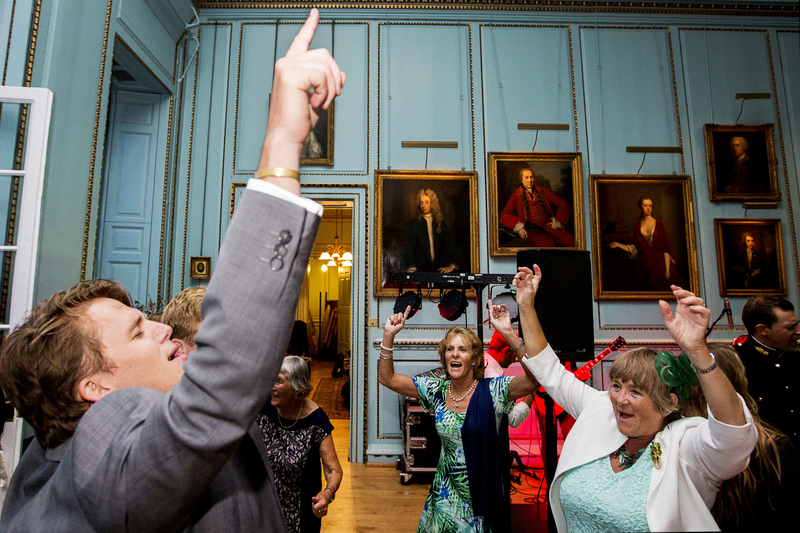 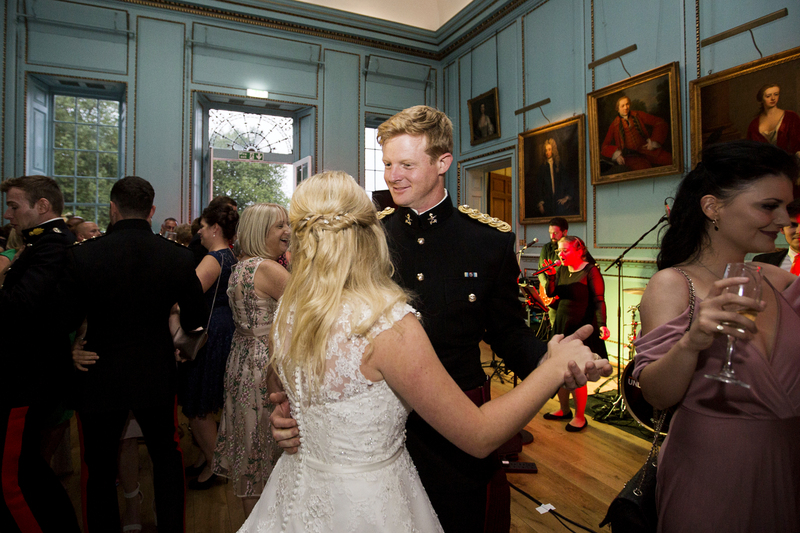 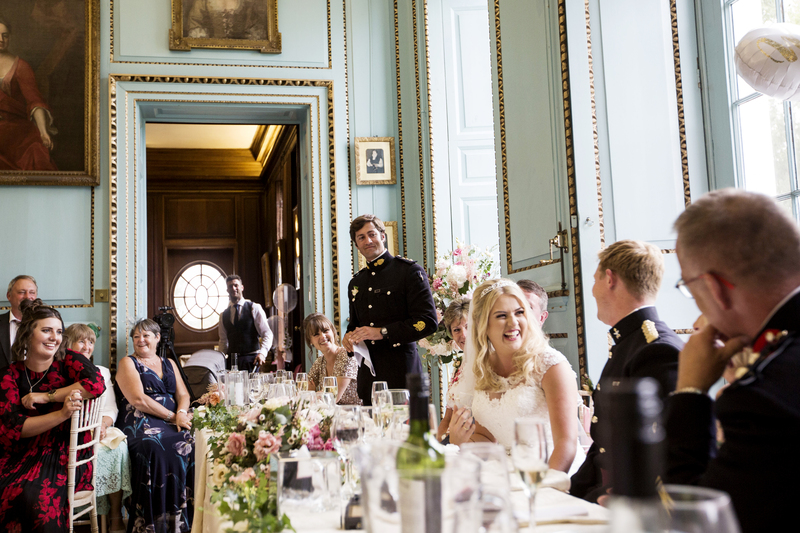 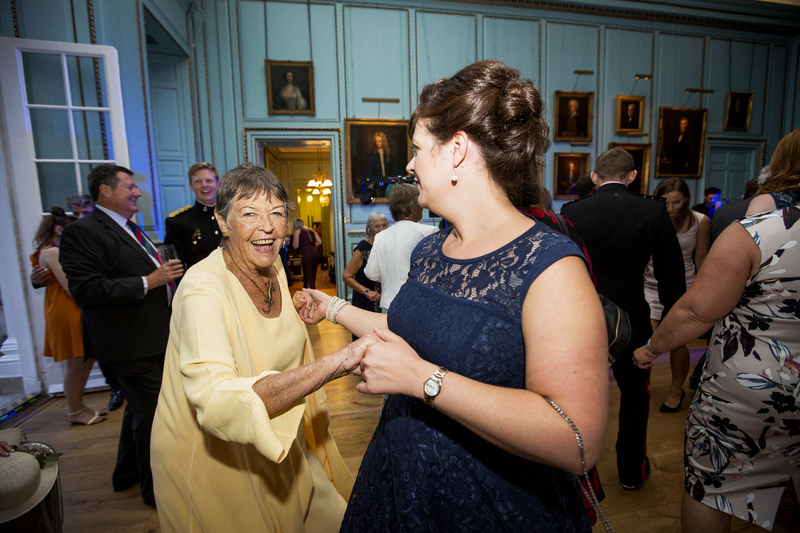 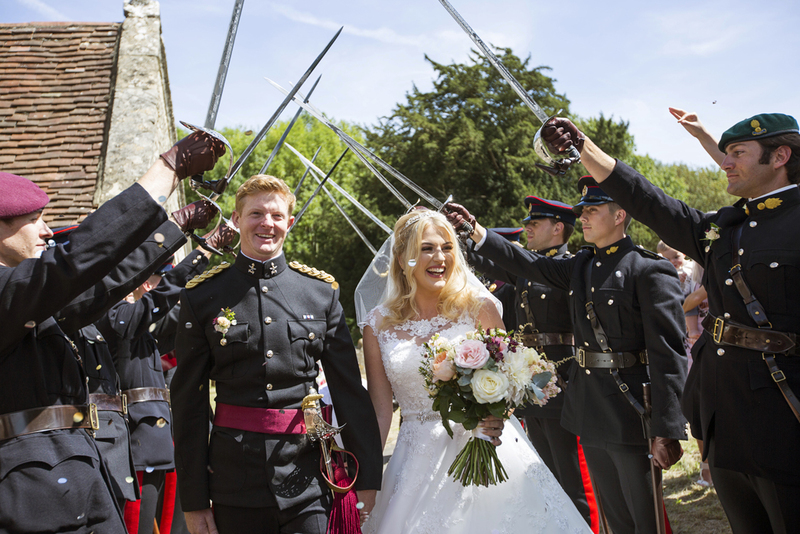 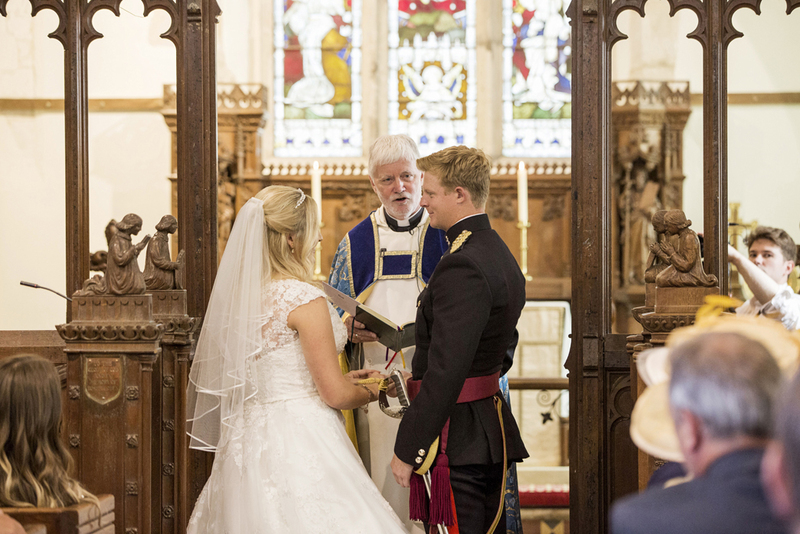 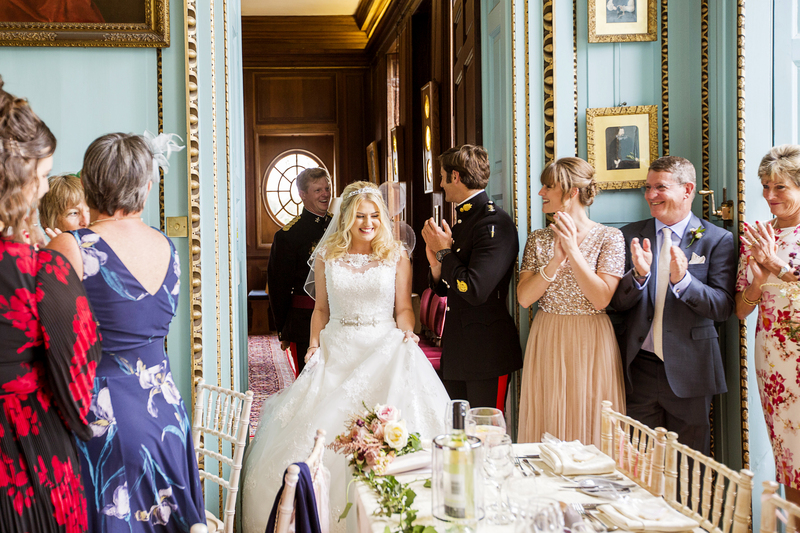 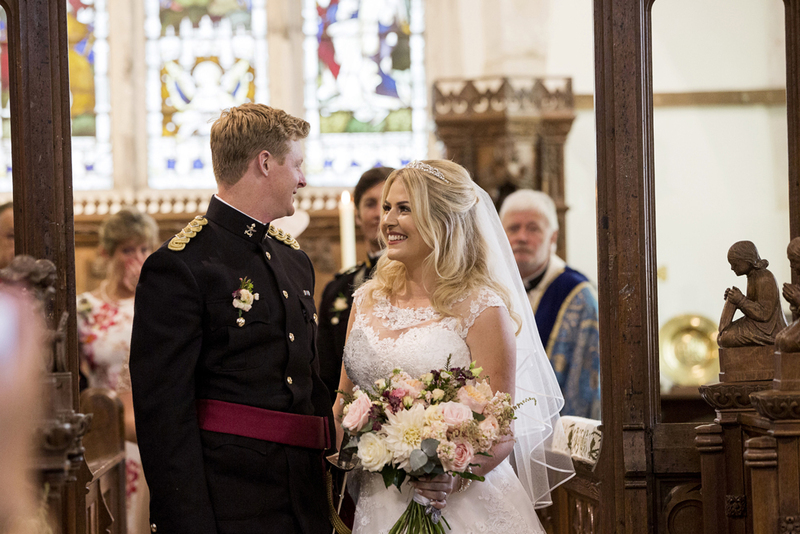 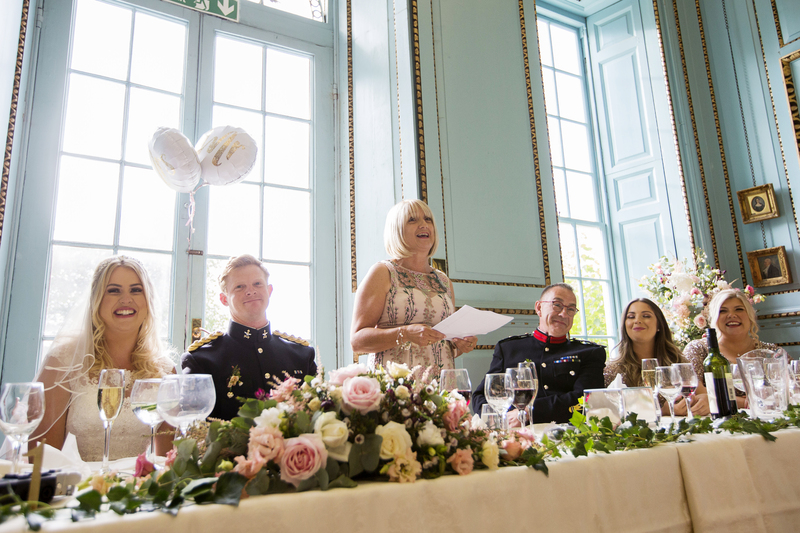 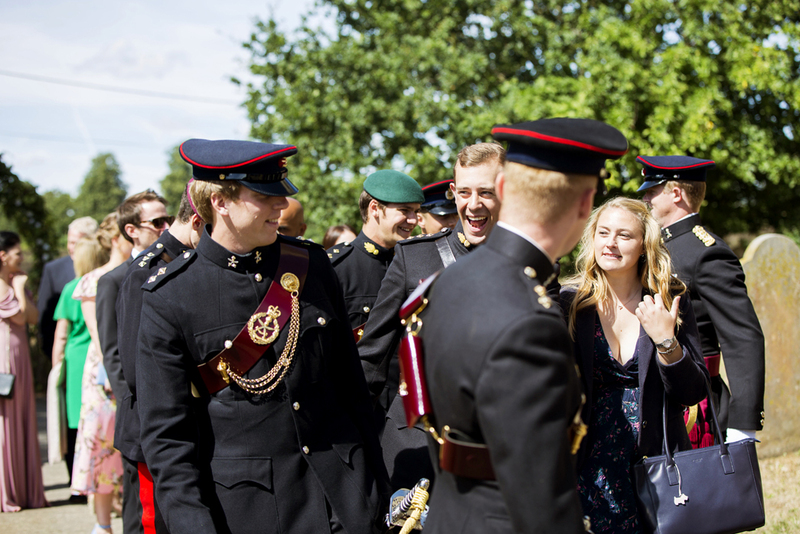 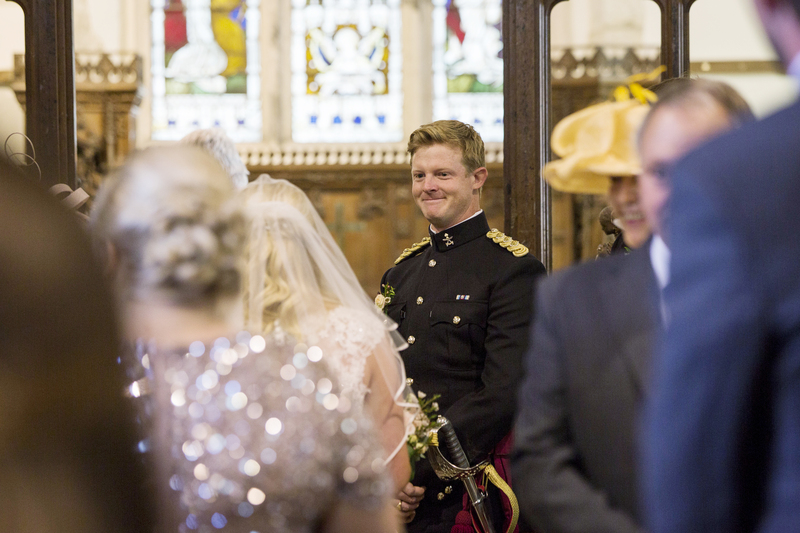 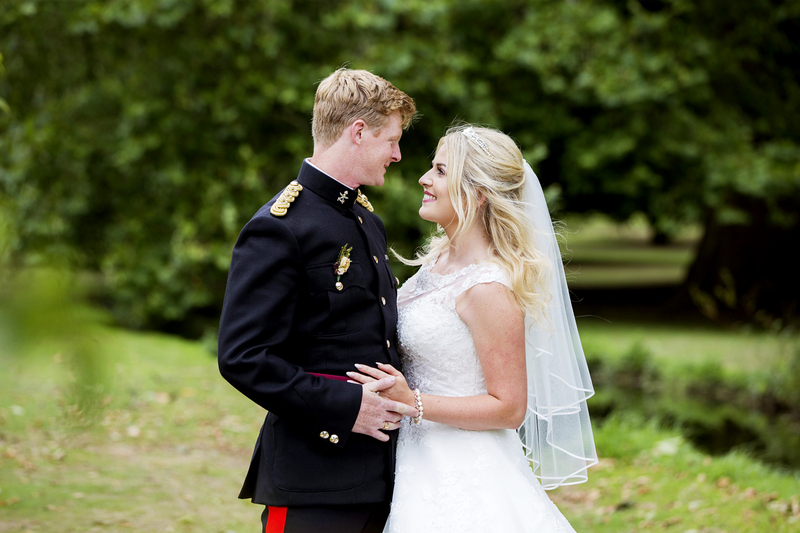 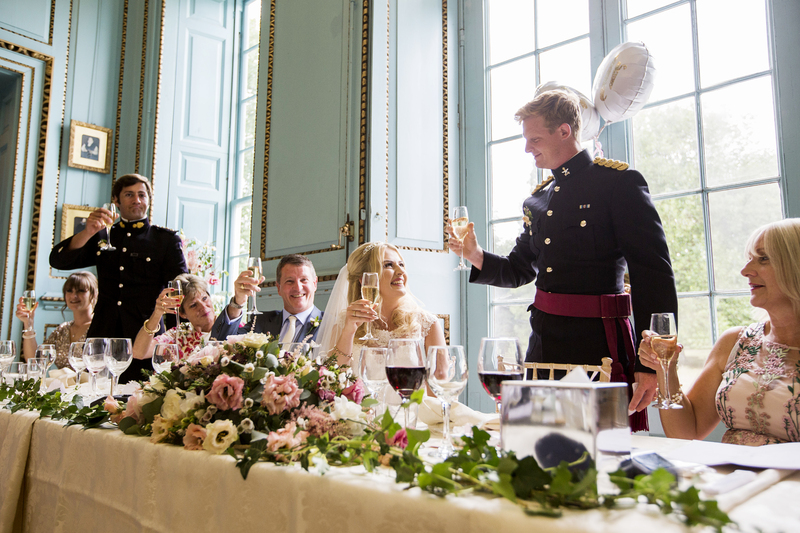 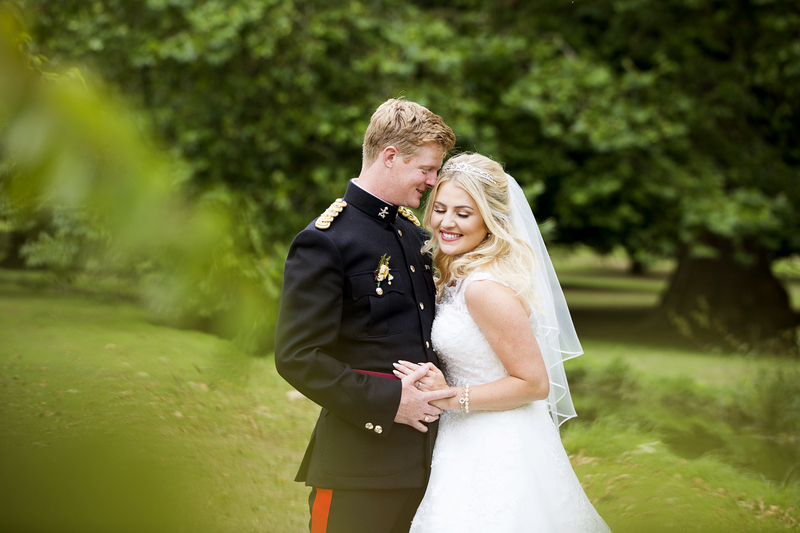 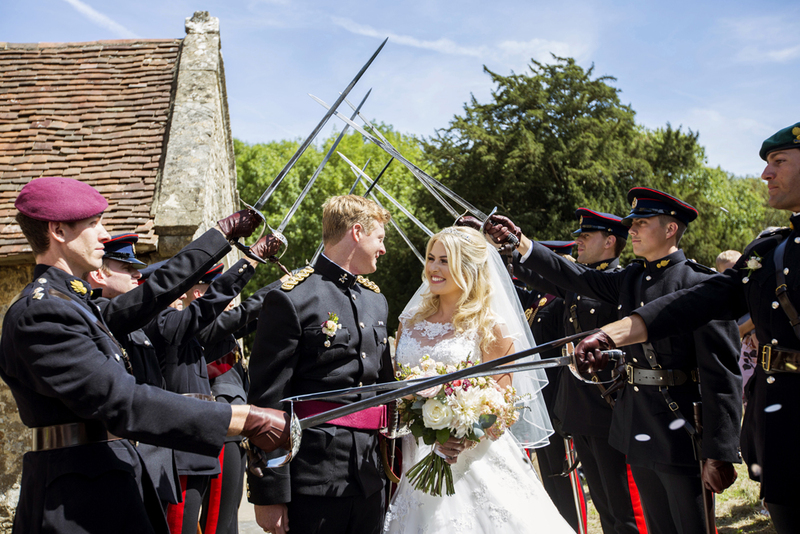 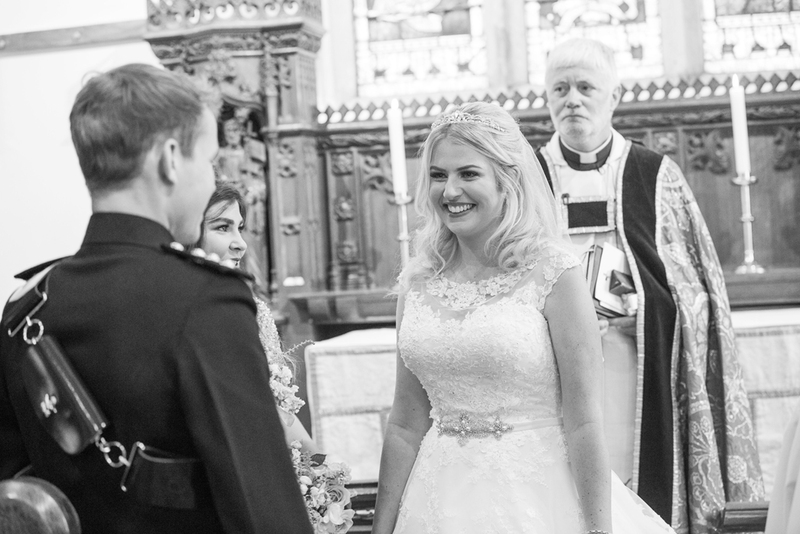 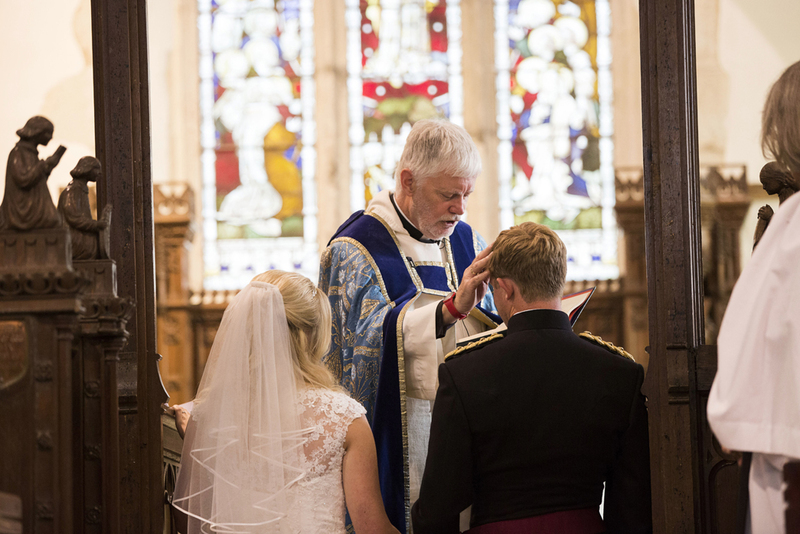 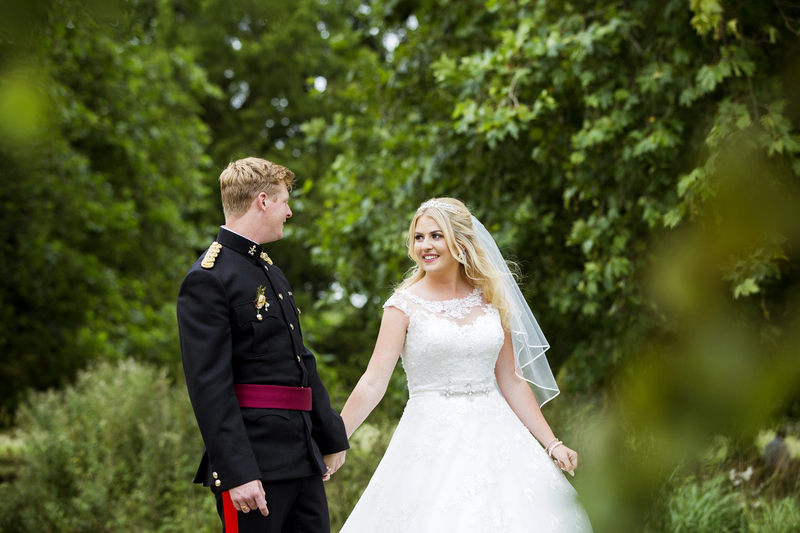 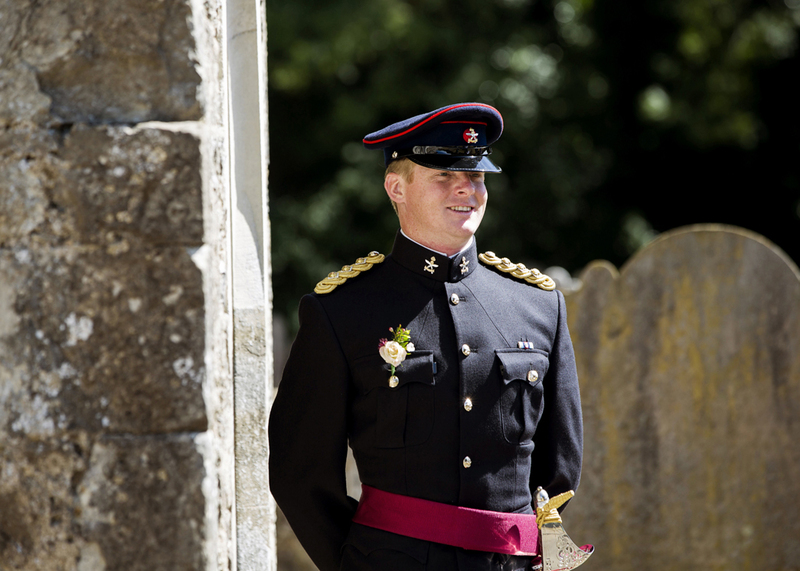 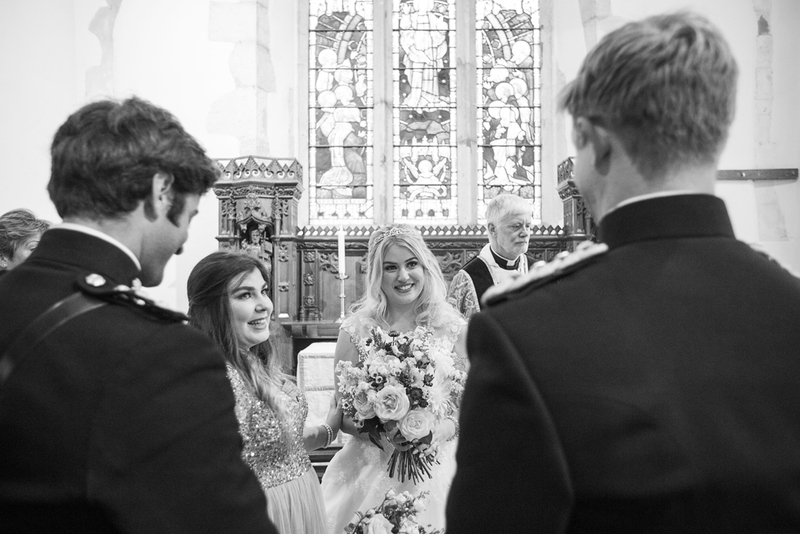 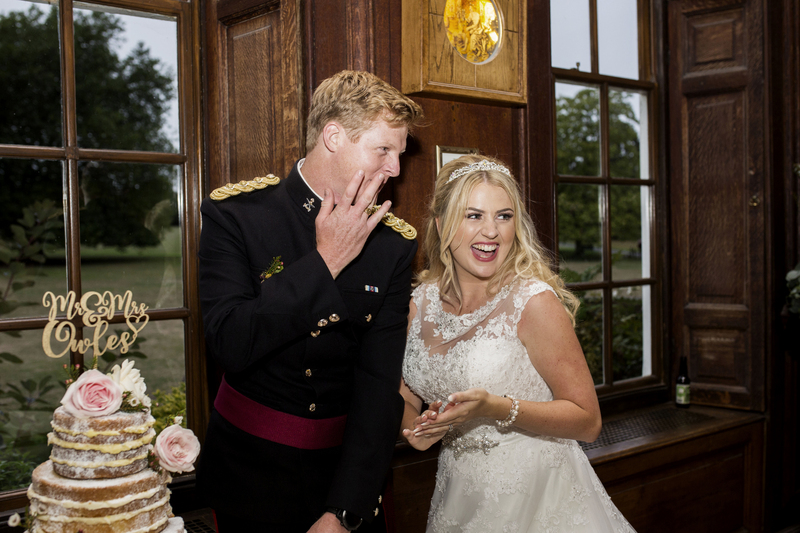 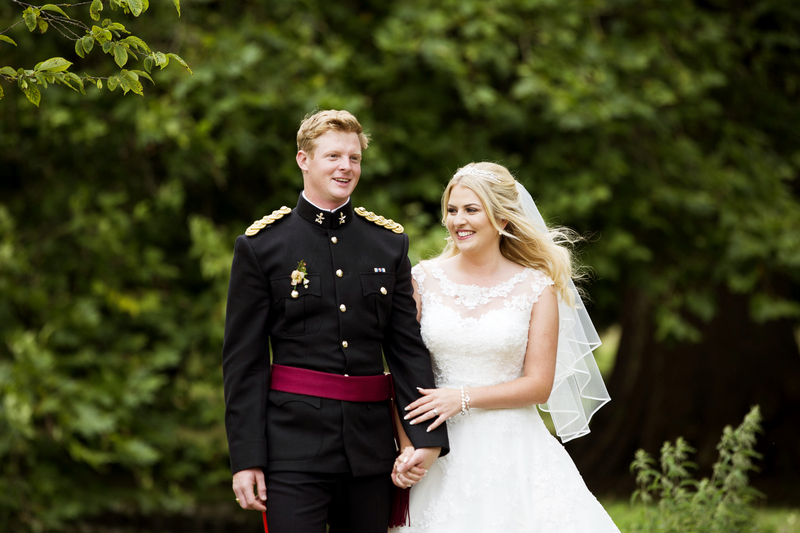 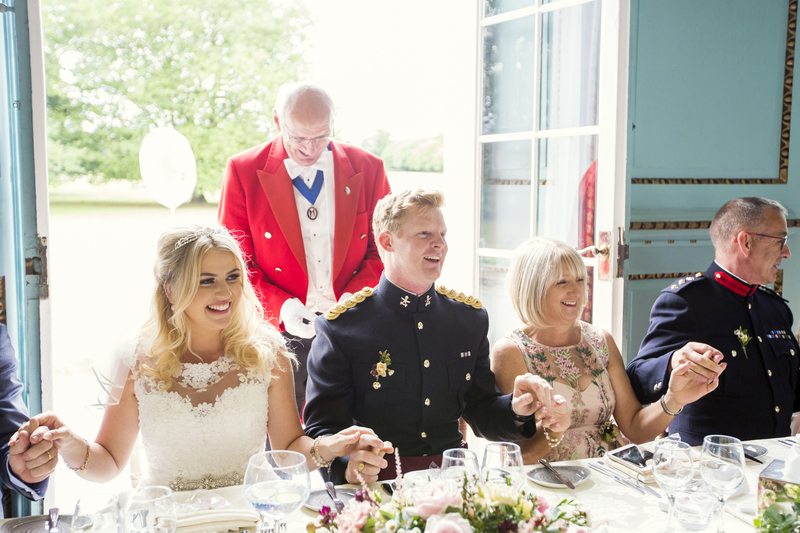 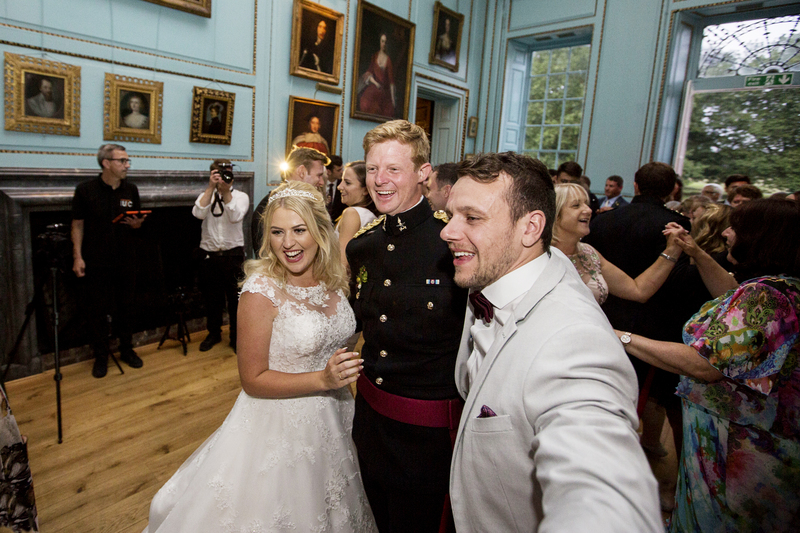 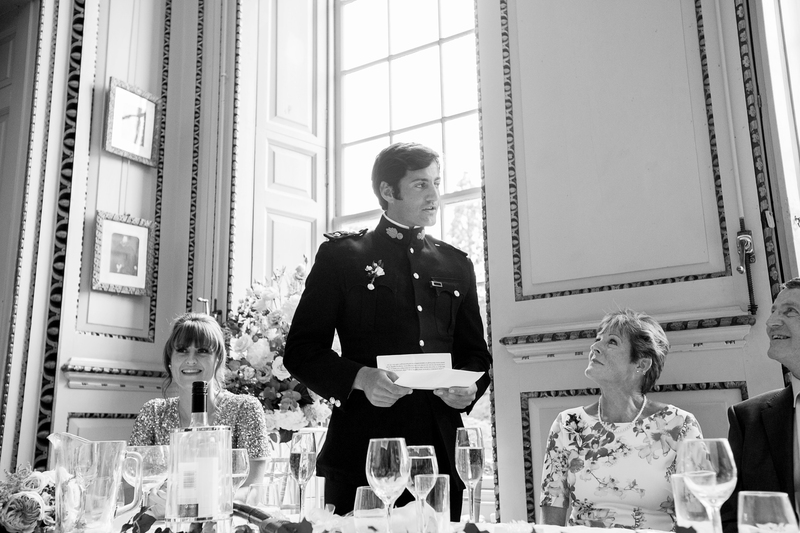 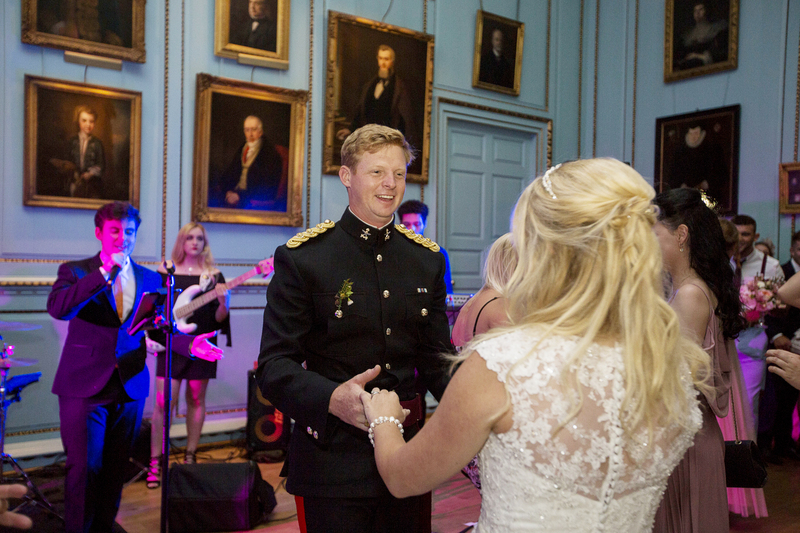 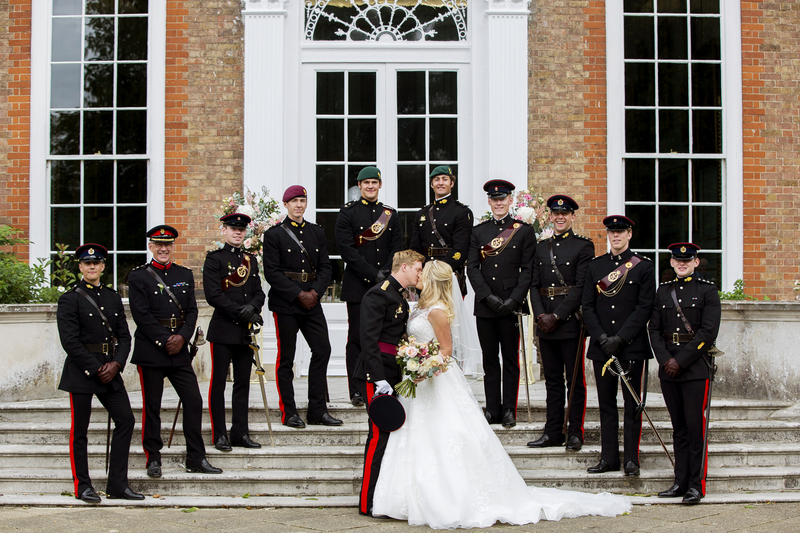 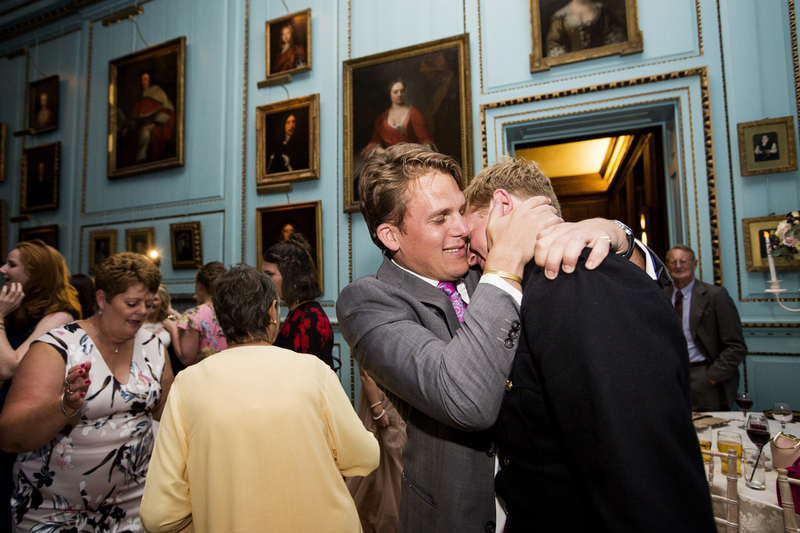 Scarlet & David’s Military wedding was an absolute joy from start to finish. 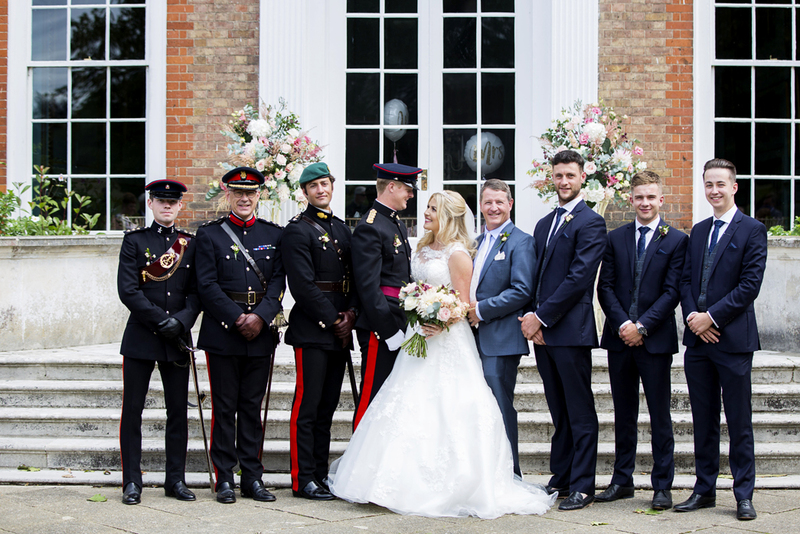 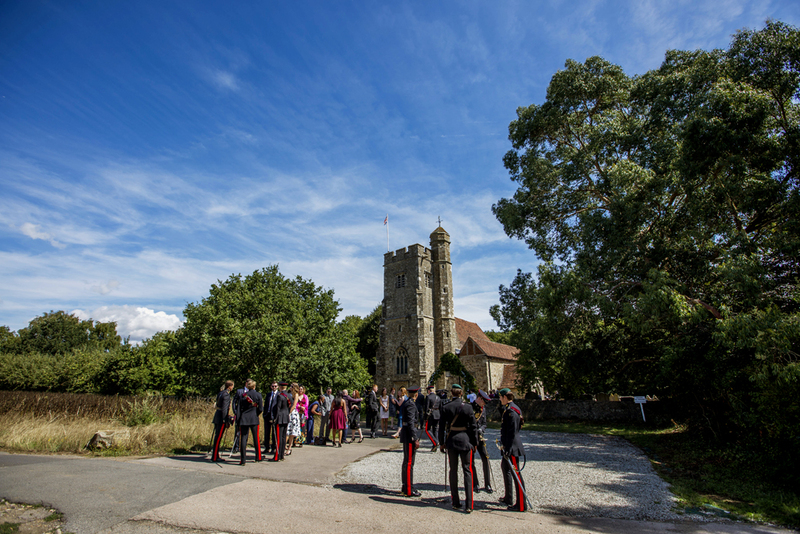 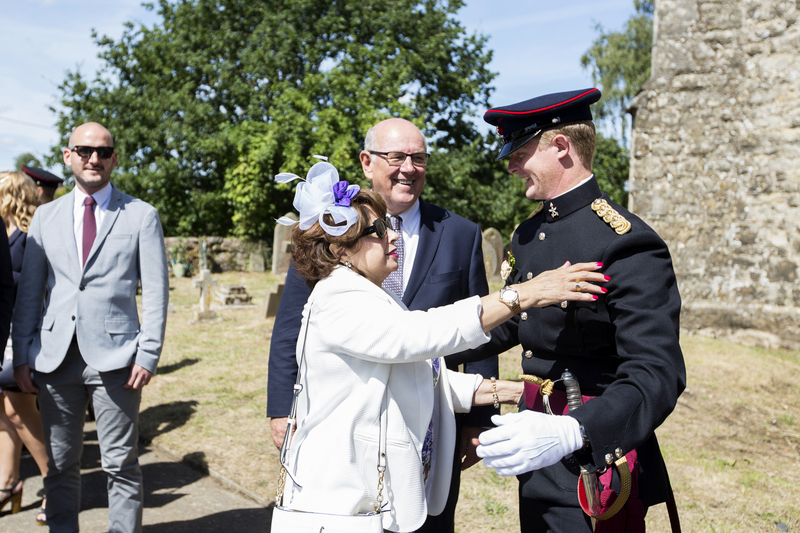 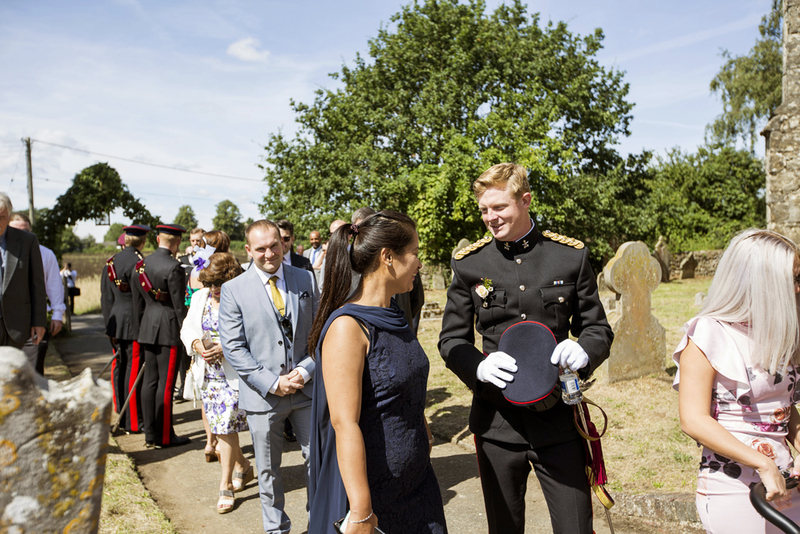 After a very personal ceremony at St Martin’s Church in Ryarsh, where Scarlet’s uncle undertook the marriage and blessings, David’s groomsmen formed a guard of honour, for the couple to walk through as they exited the church. 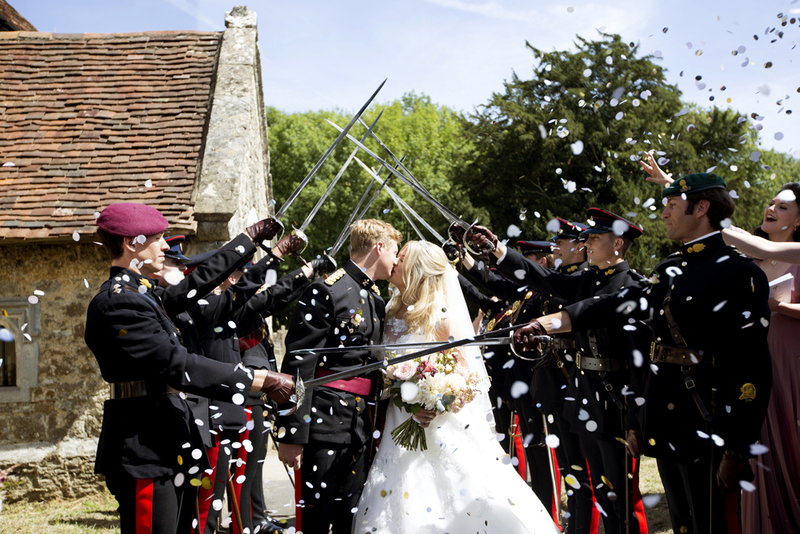 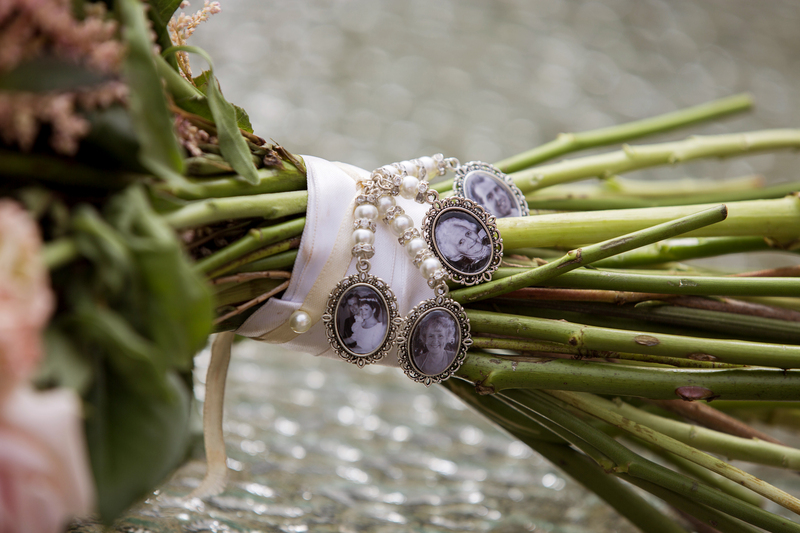 It was wonderful to capture this military wedding tradition! 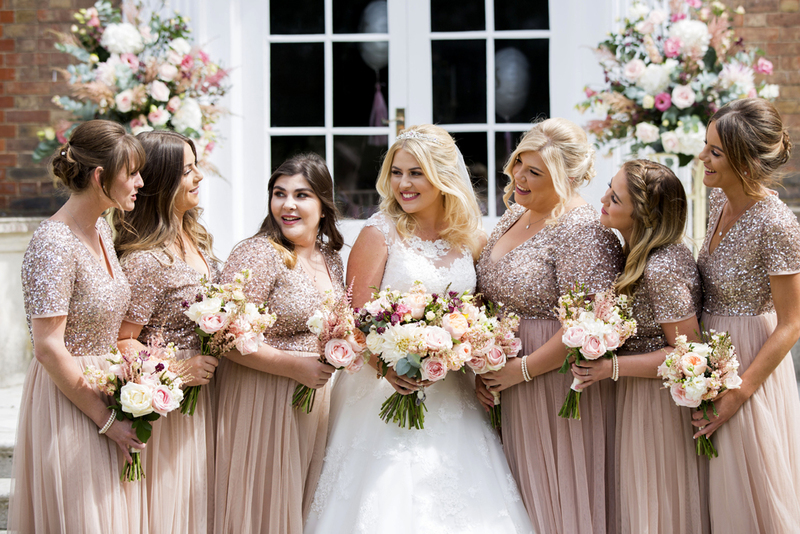 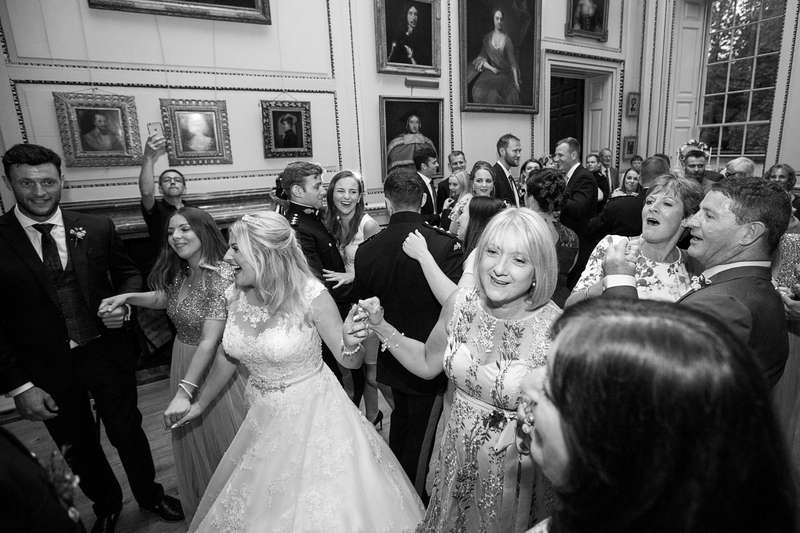 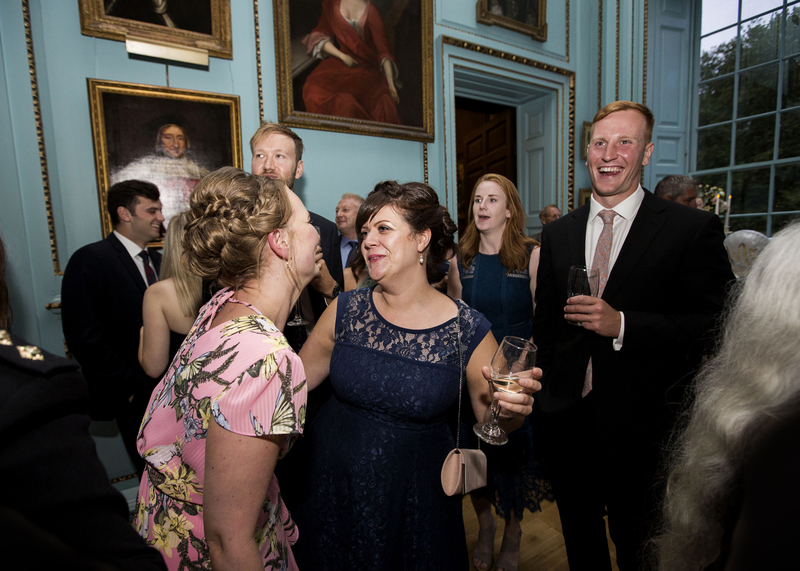 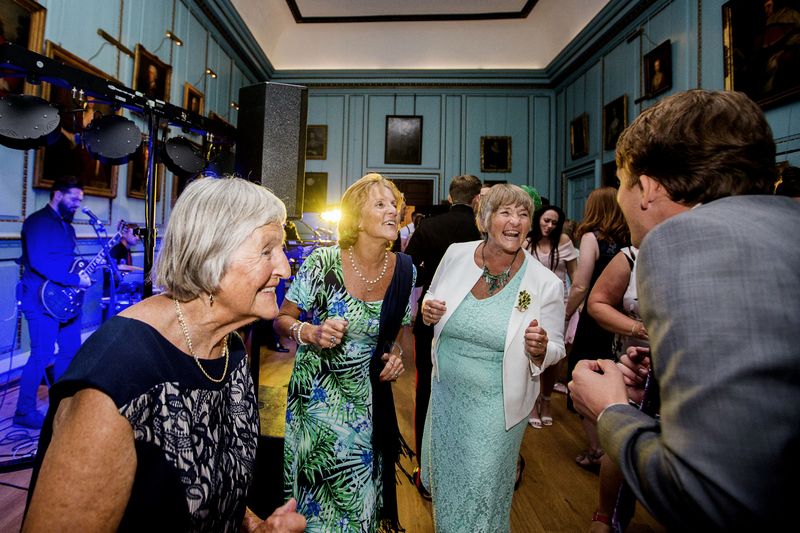 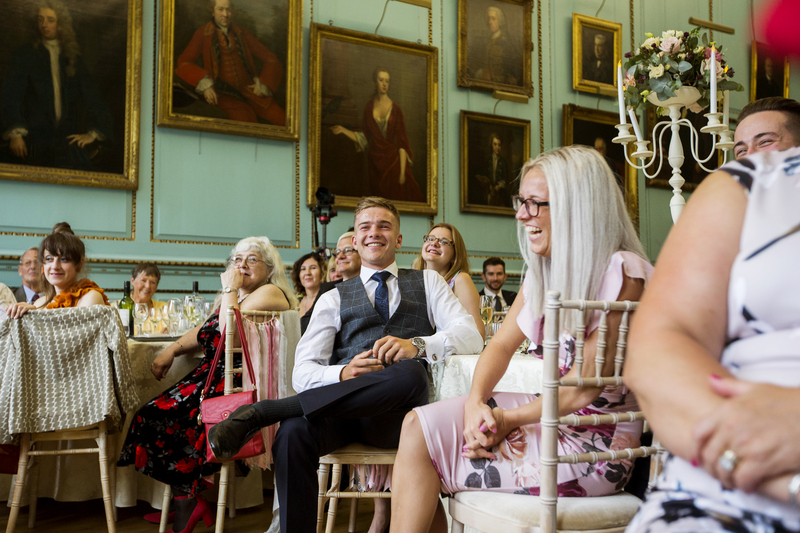 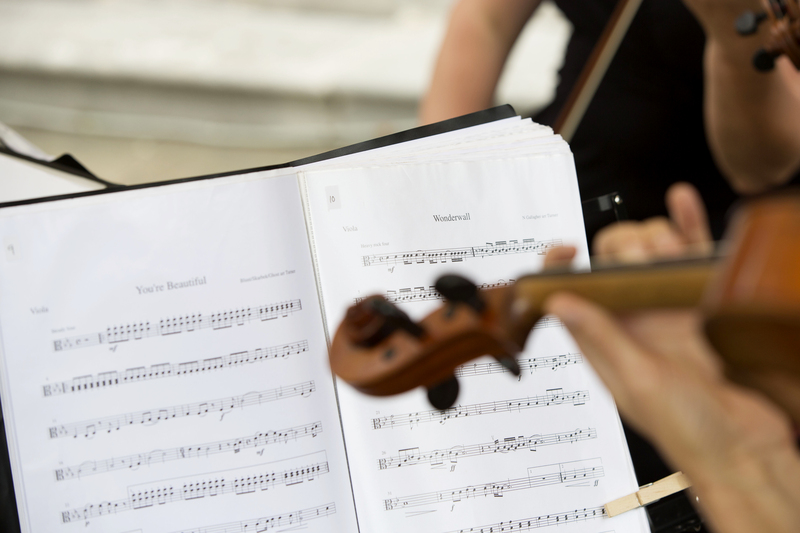 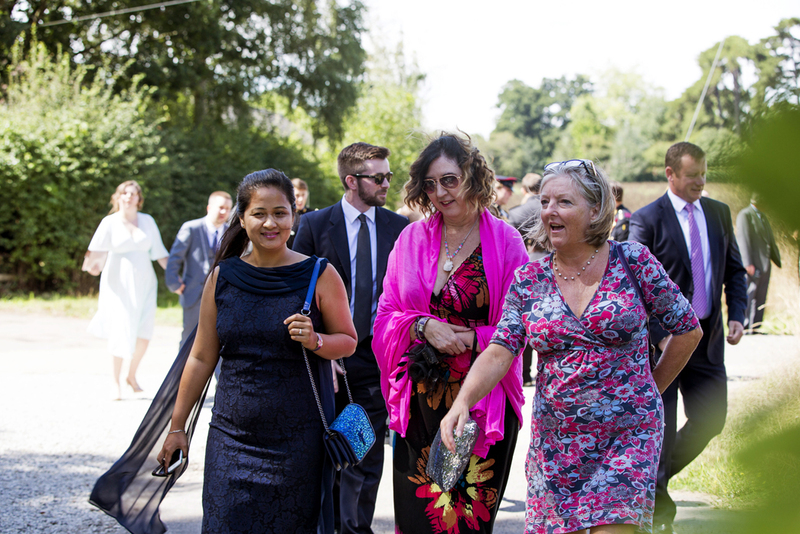 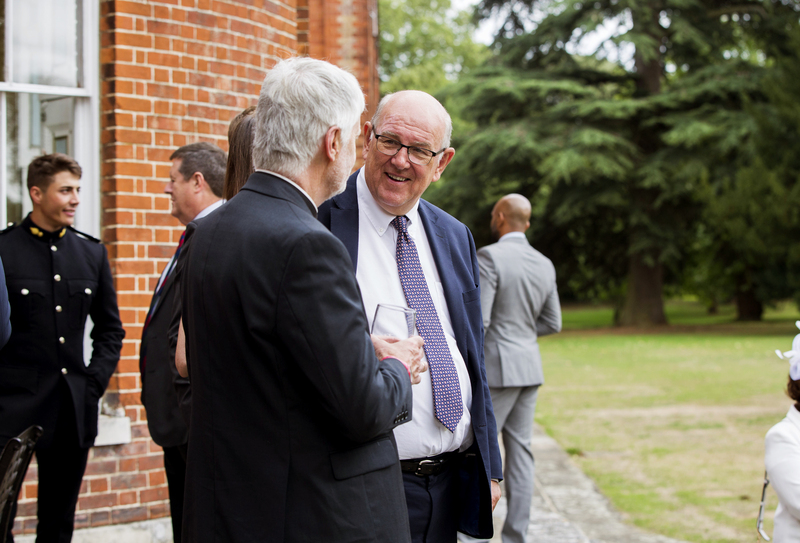 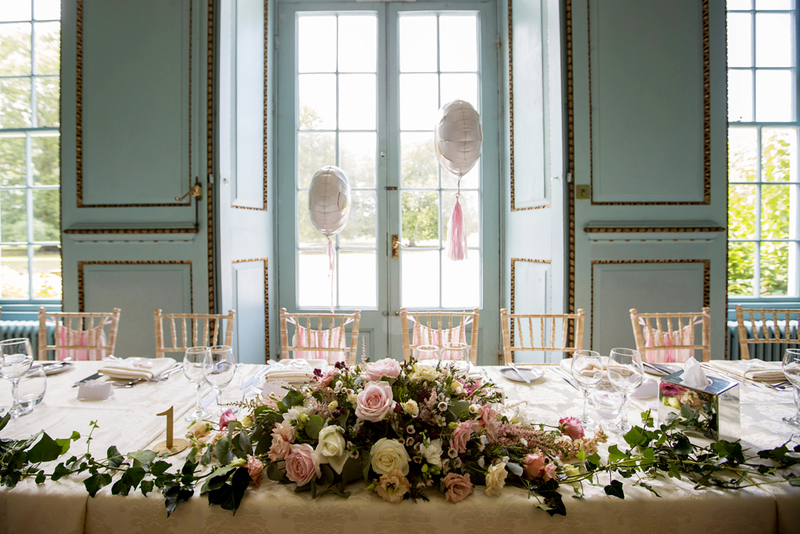 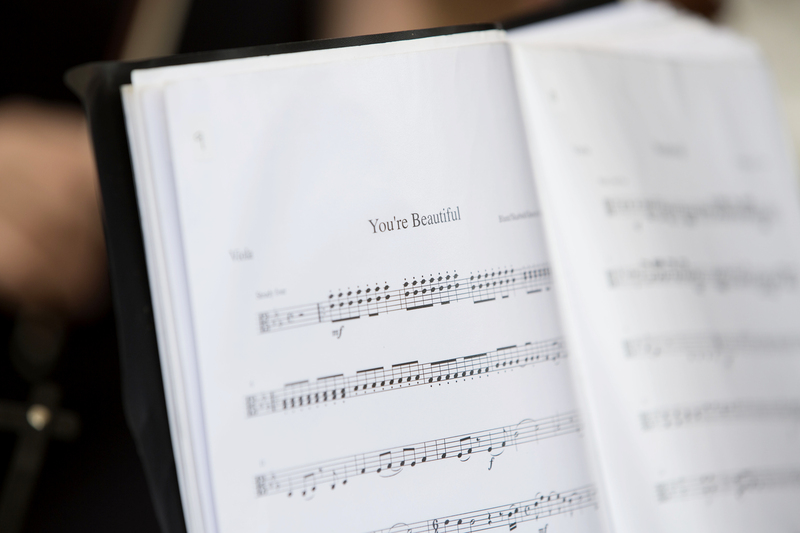 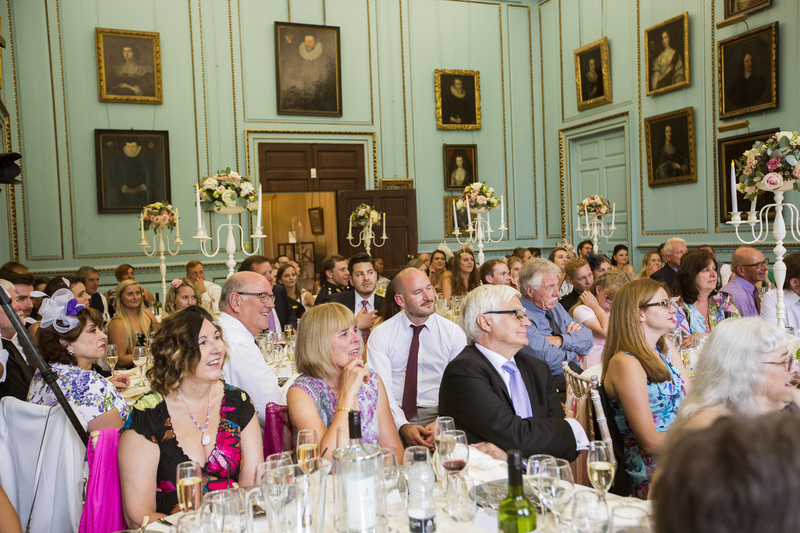 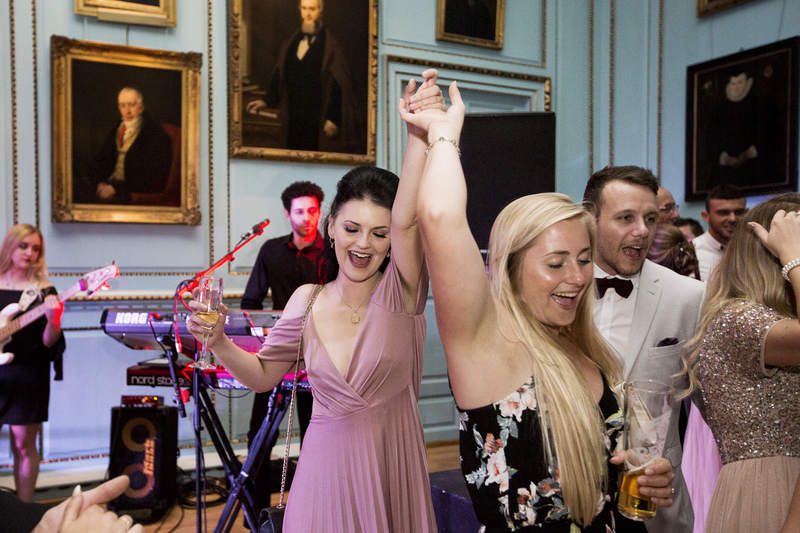 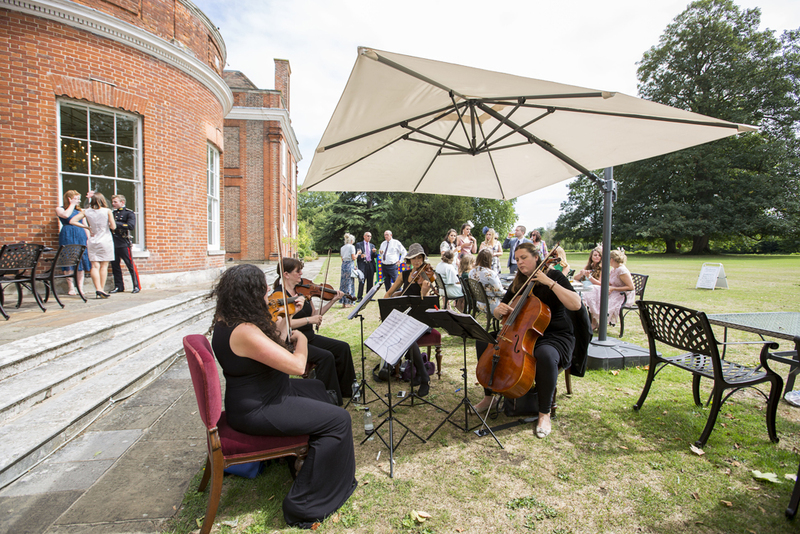 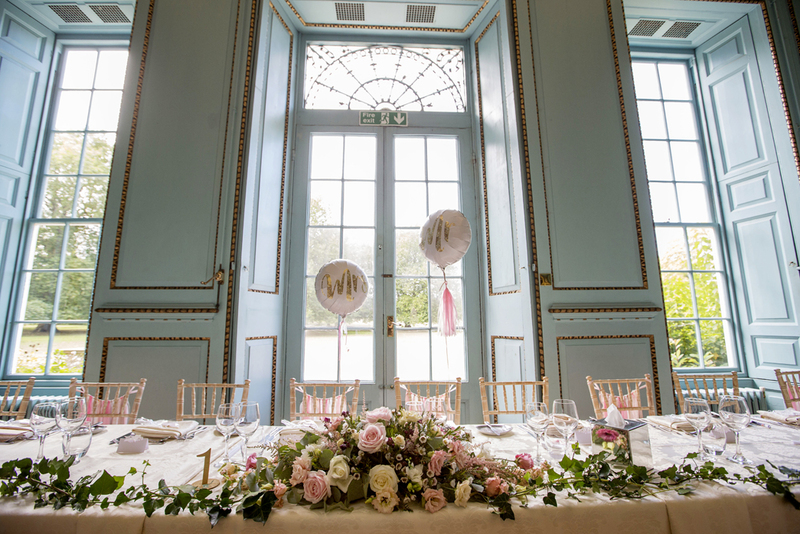 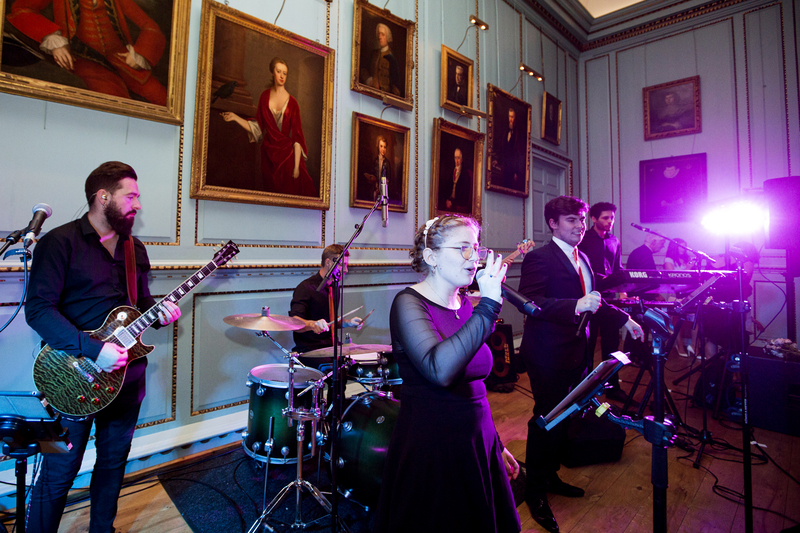 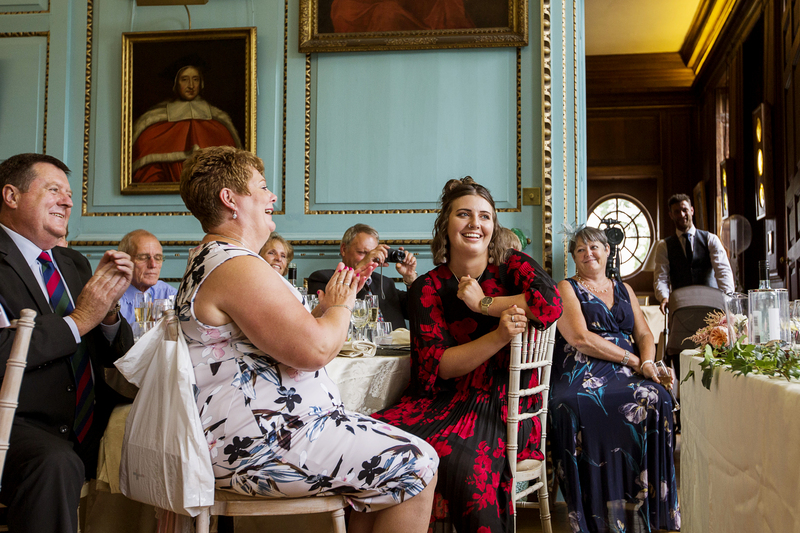 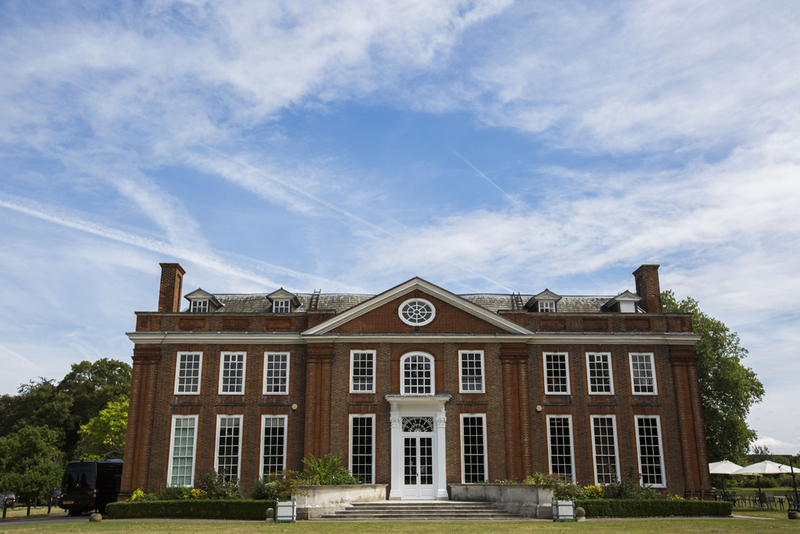 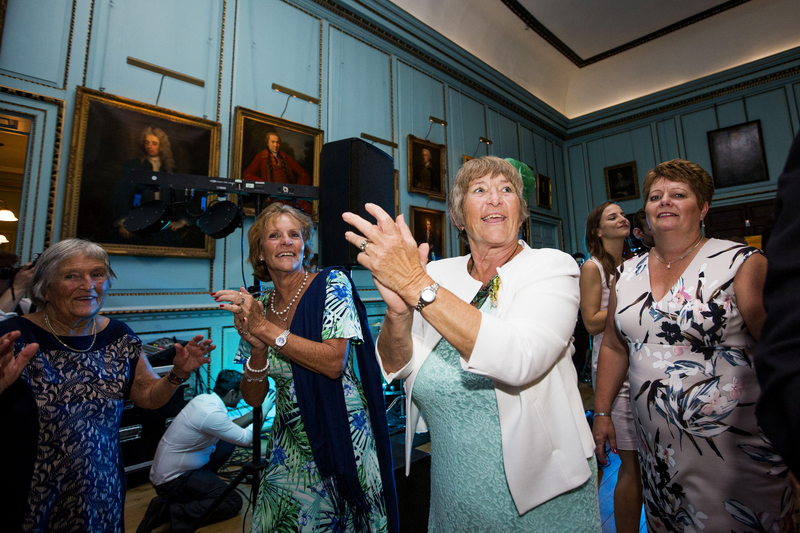 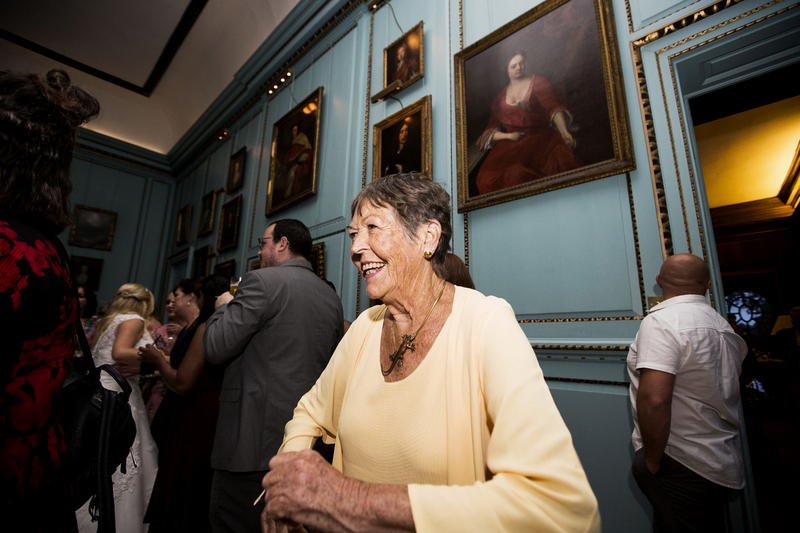 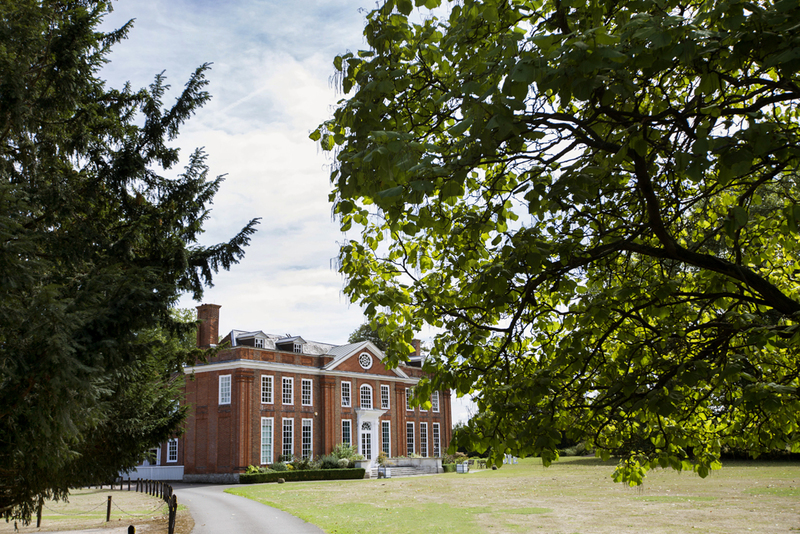 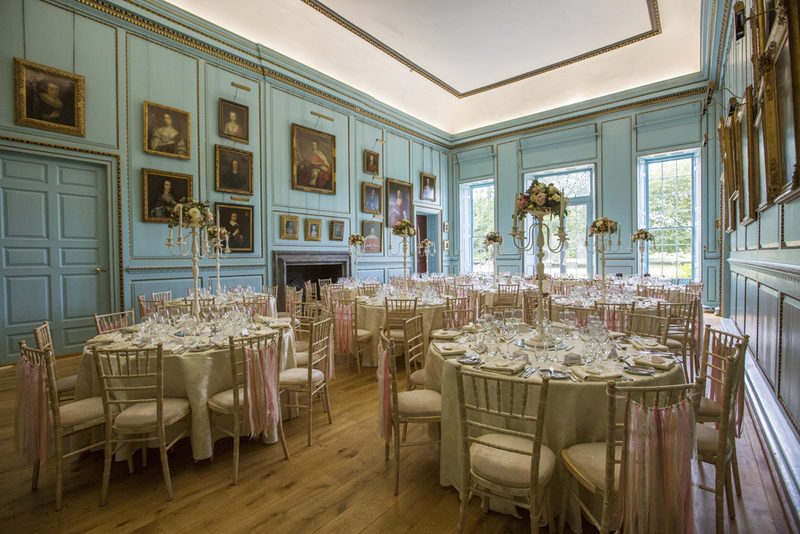 Following confetti and the bride & groom’s exit, we headed to Bradbourne House, where guests gathered to enjoy Reflections Strings playing beautifully in the sunshine. 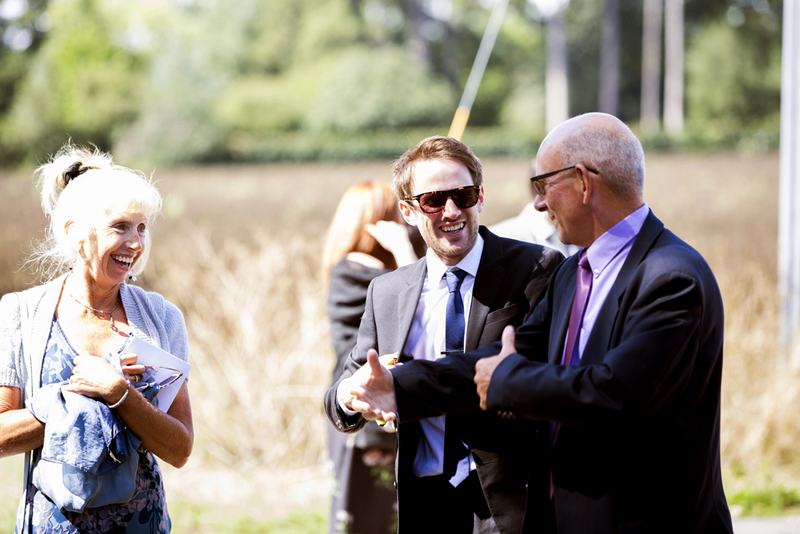 Baxter’s Story were in charge of the catering, and took brilliant care of us, too. 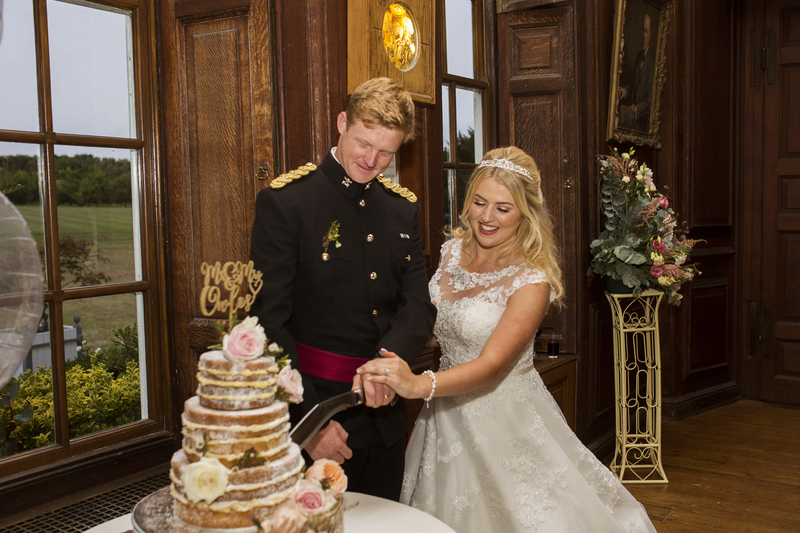 The gorgeous cake was by Sophisticakes and stunning blooms by Emily & Me. 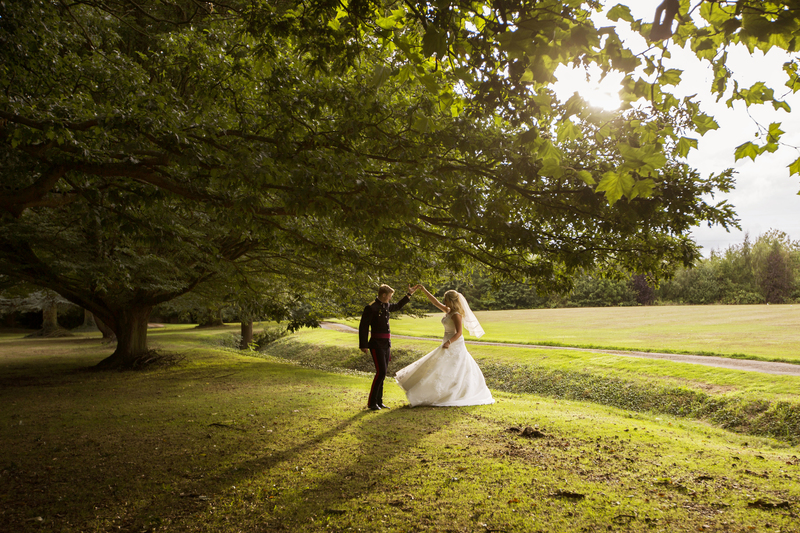 Just ahead of the first dance, we went for a last hunt for the setting sun. 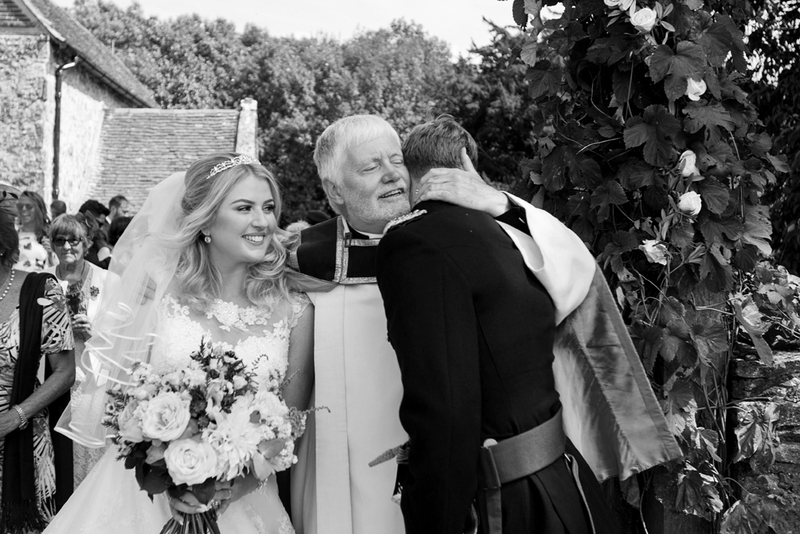 Trever from Ealing Studio’s (who was such a pleasure to work with, I can’t wait to see the film he’ll produce! 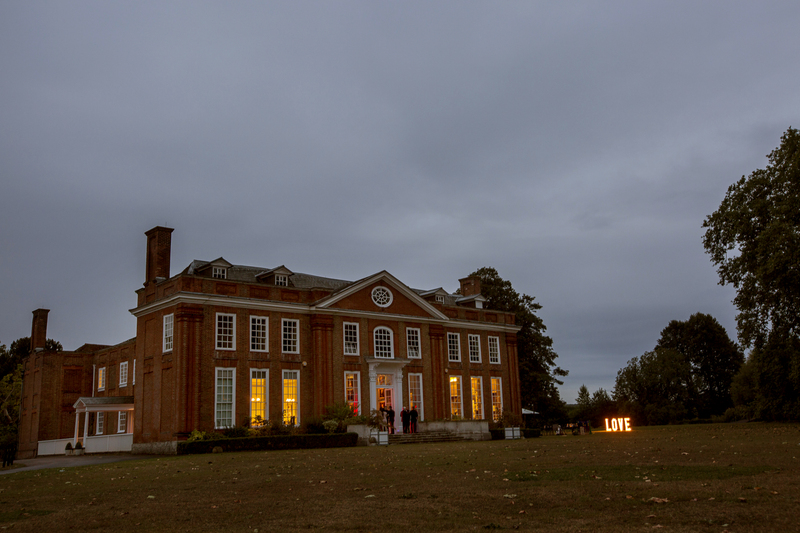 ), and I tried to capture every last inch of the magic of the day. 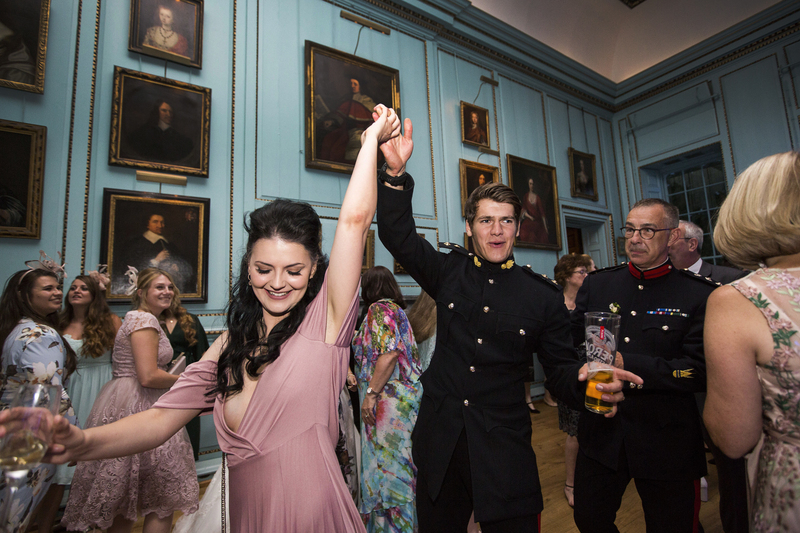 As the night fell, Under The Covers got everyone on the dance floor, and that’s where we left Scarlet & David, heading home feeling overjoyed after a perfect day.